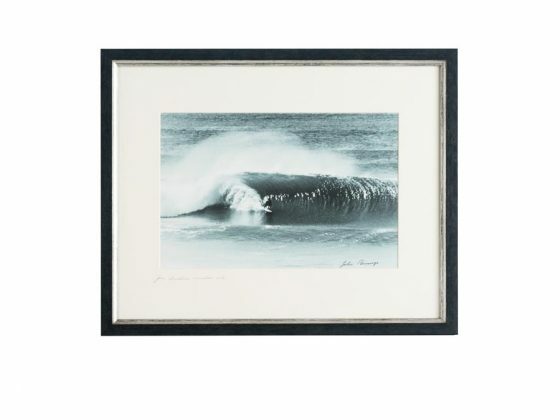 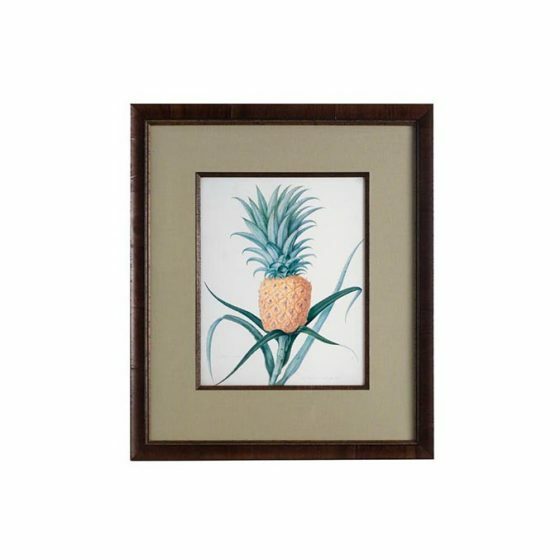 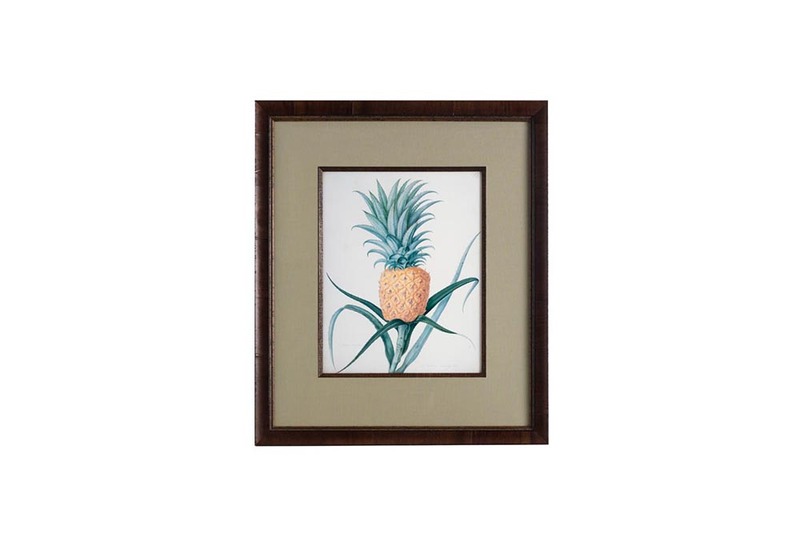 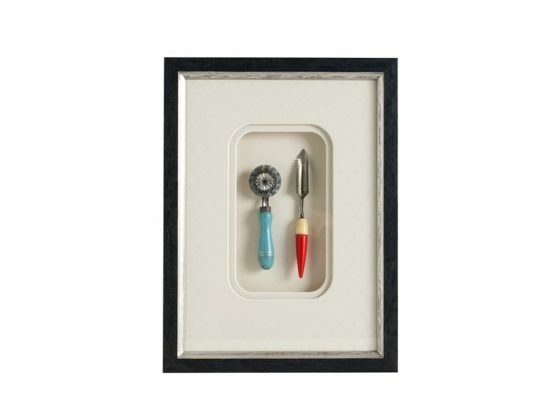 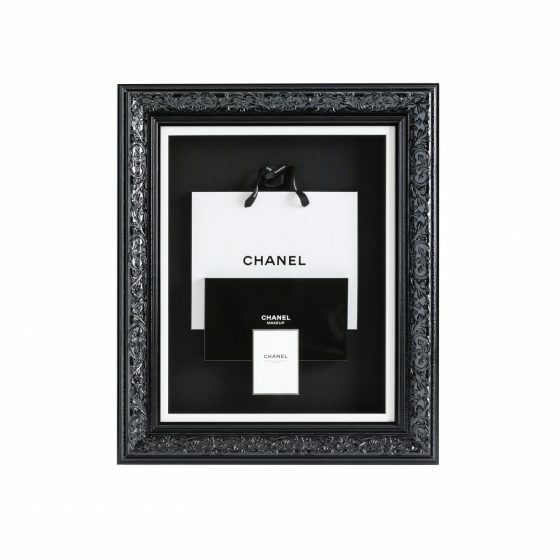 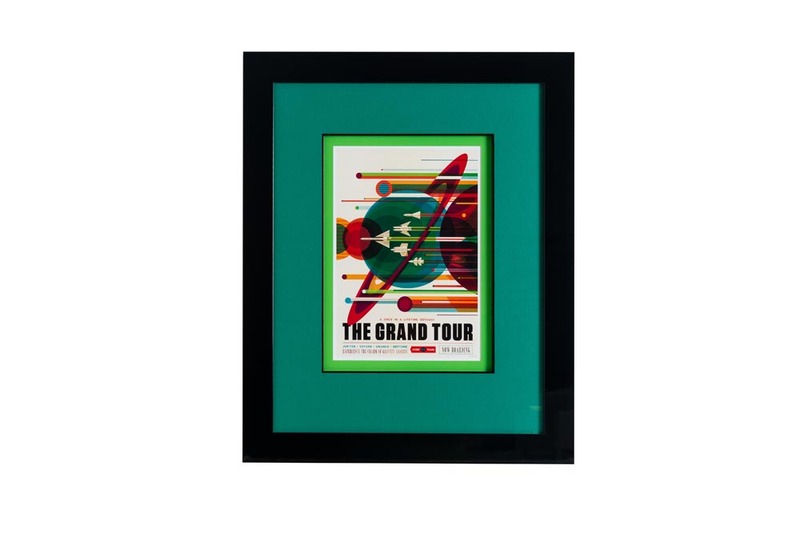 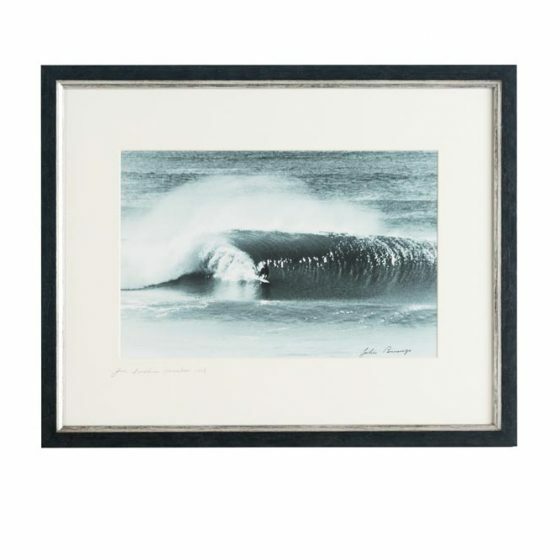 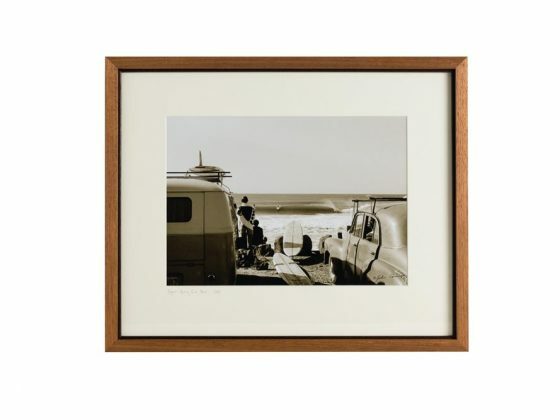 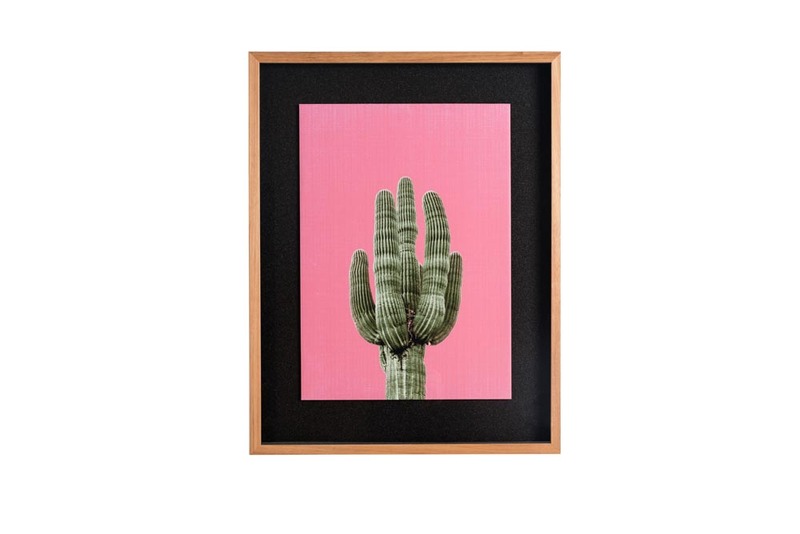 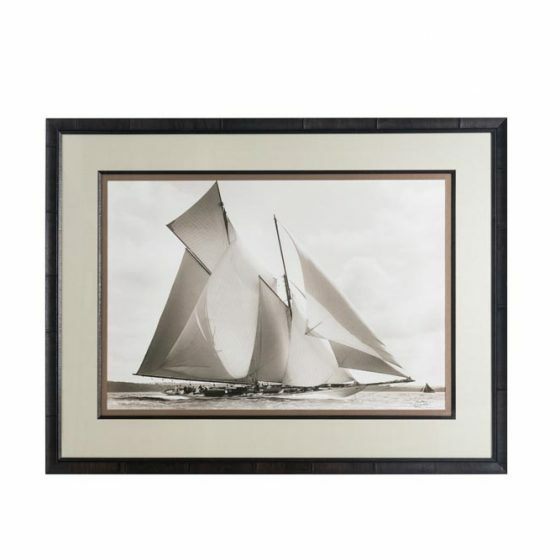 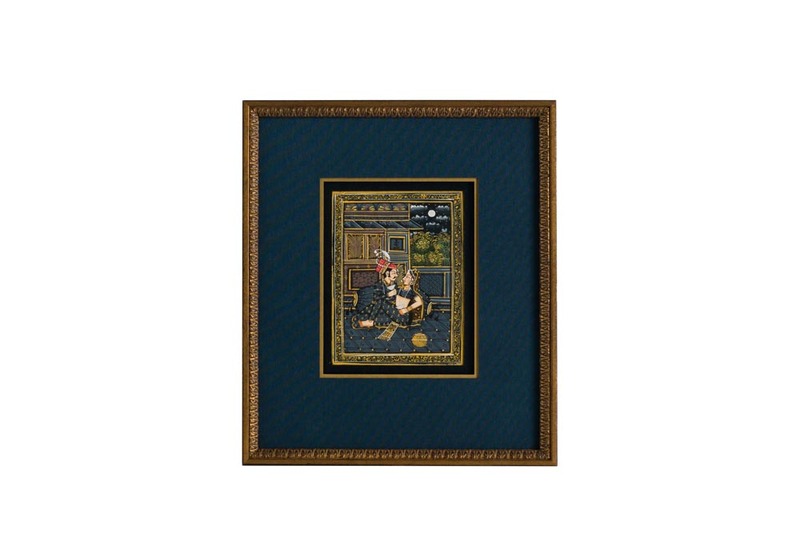 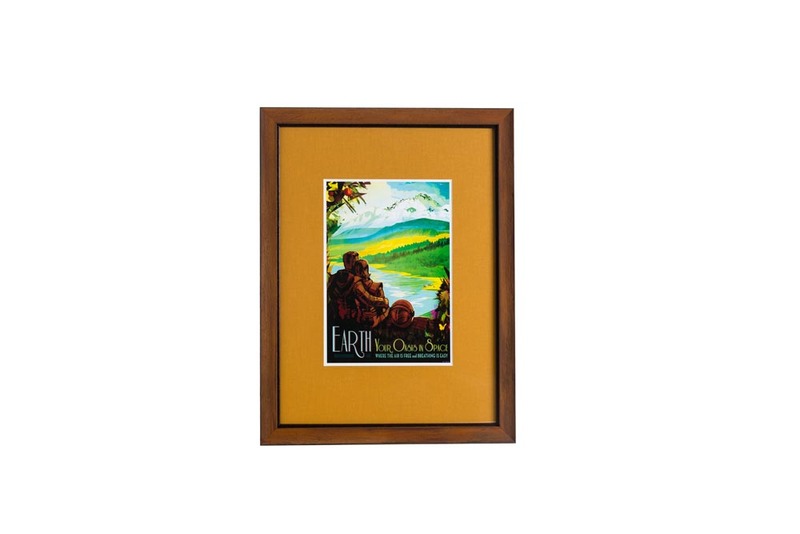 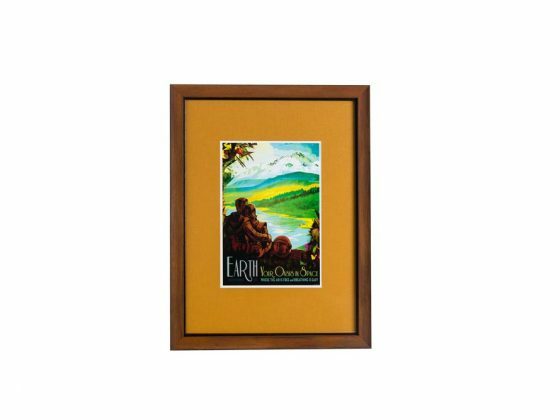 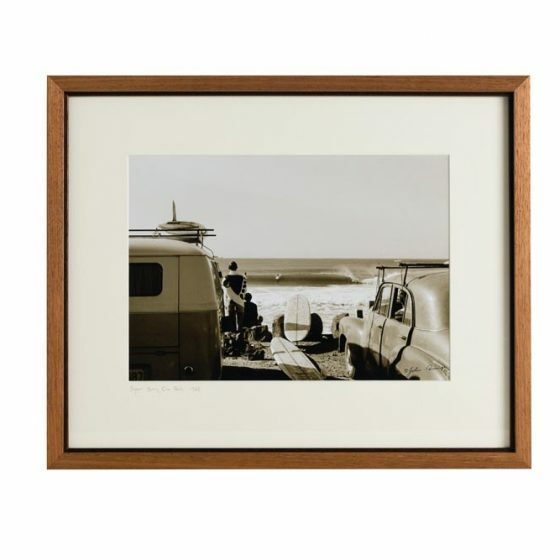 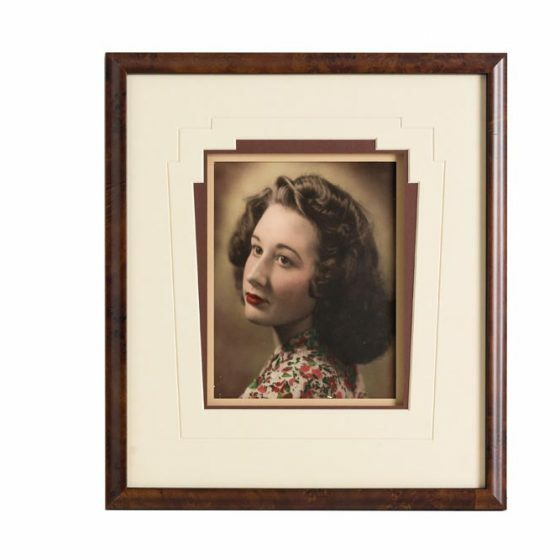 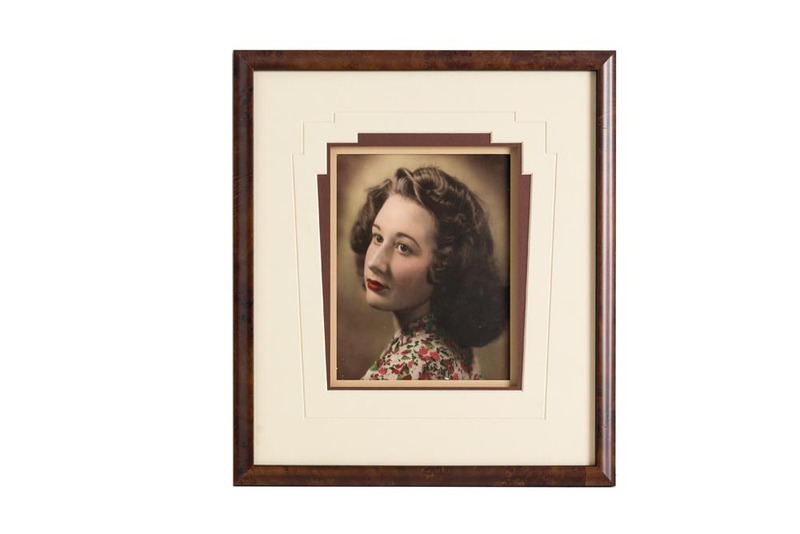 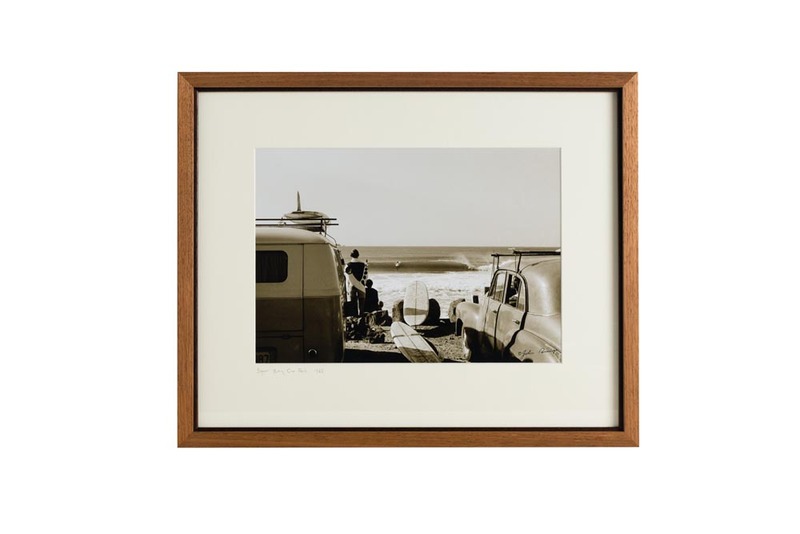 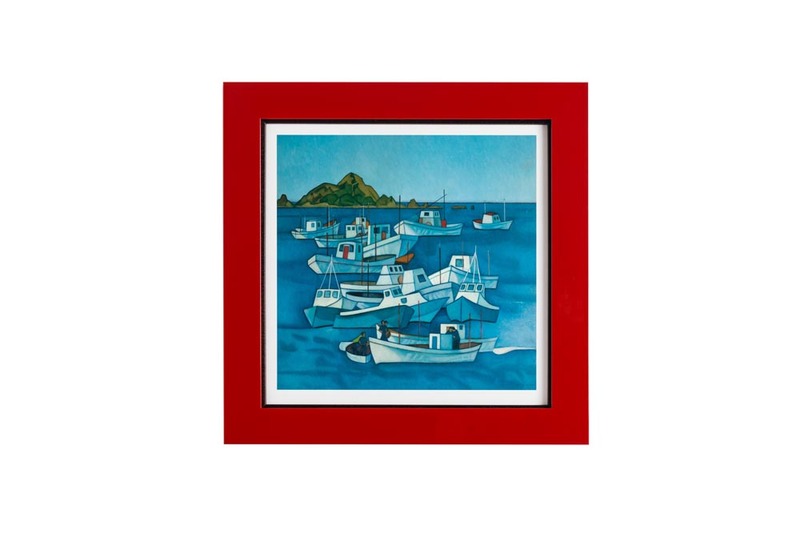 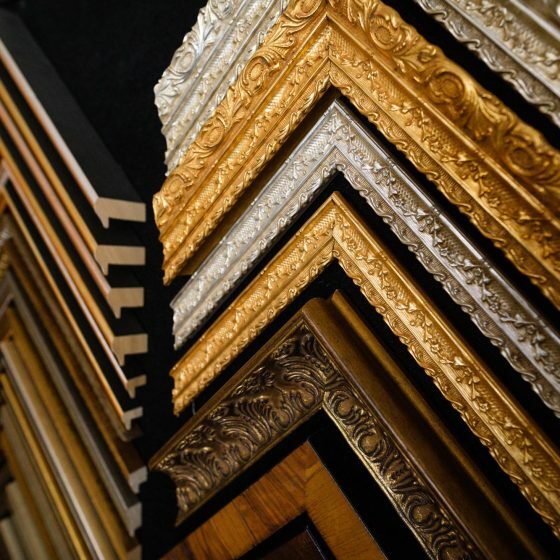 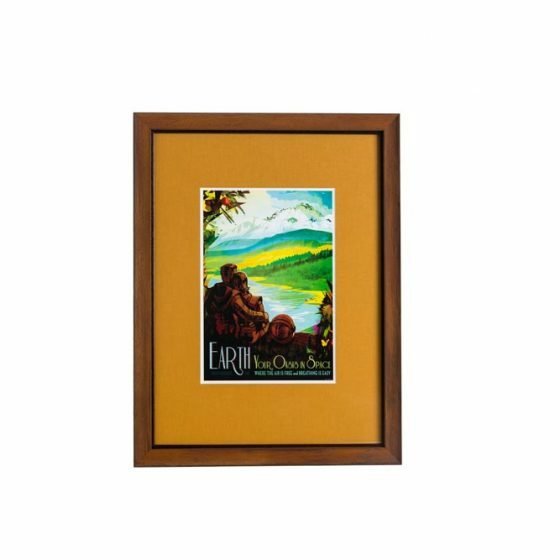 Quality Custom Picture Framing can improve the look and feel of an image. 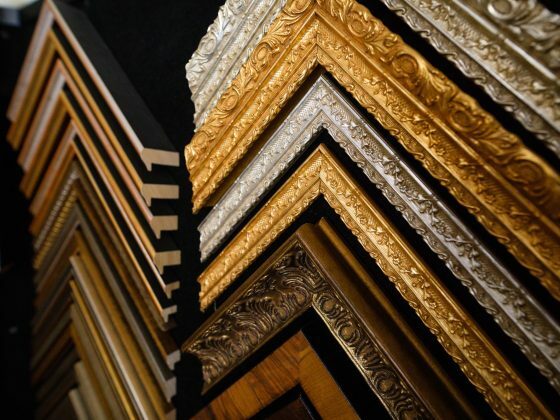 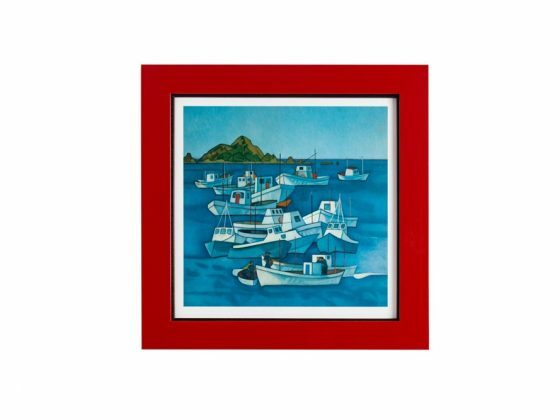 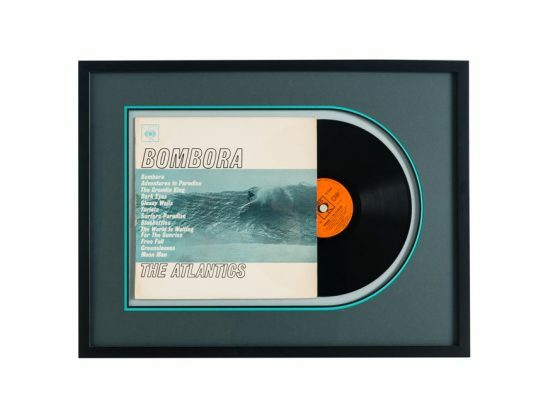 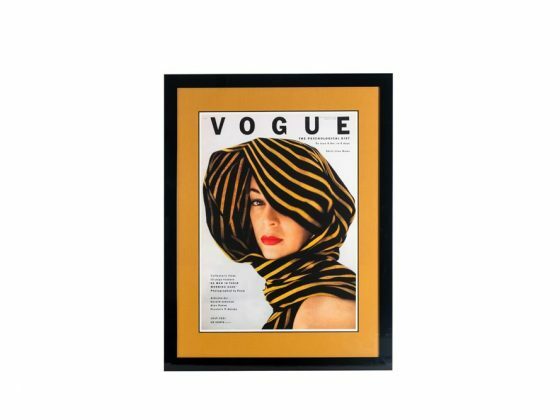 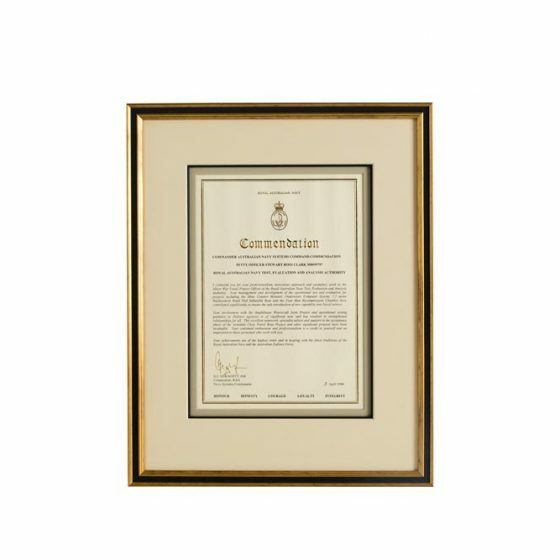 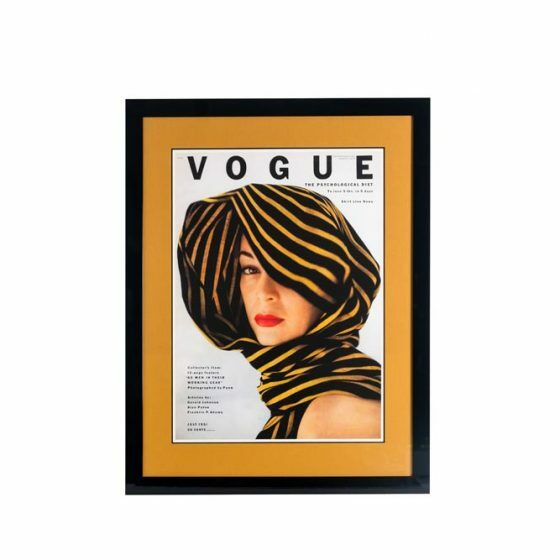 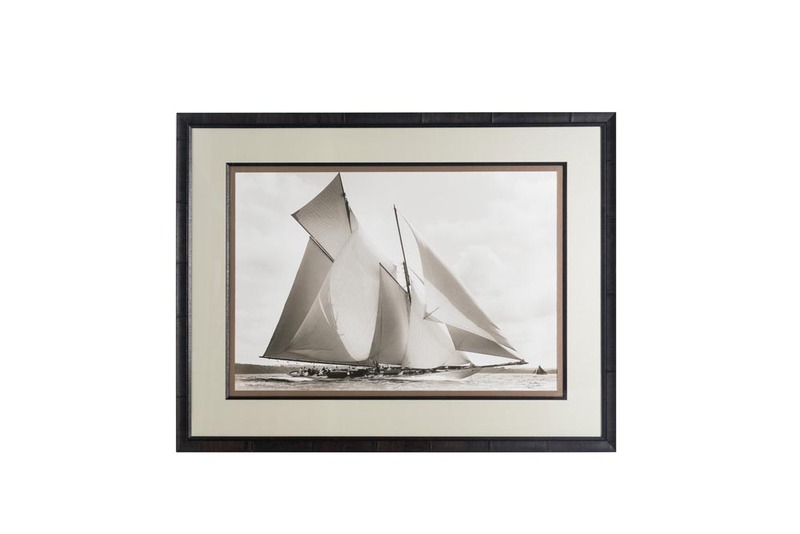 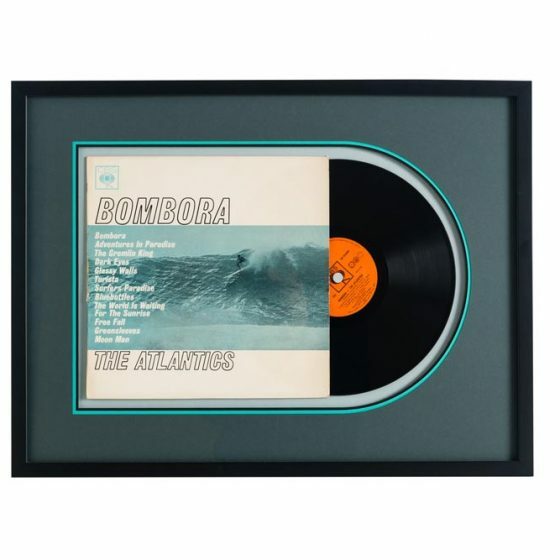 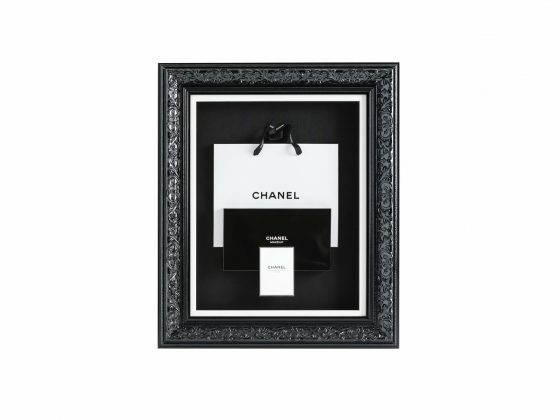 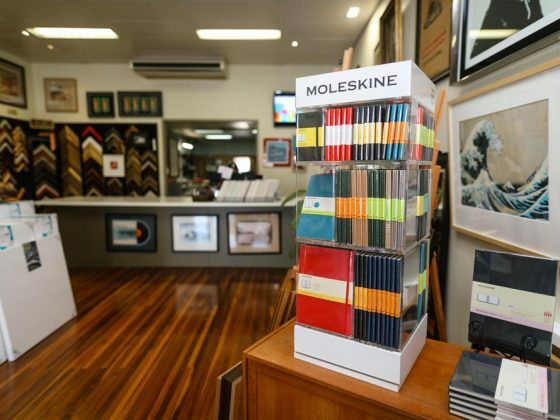 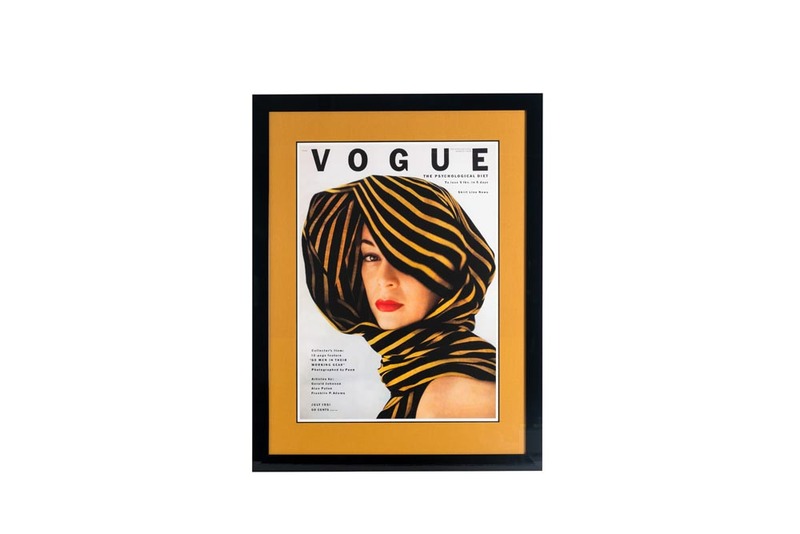 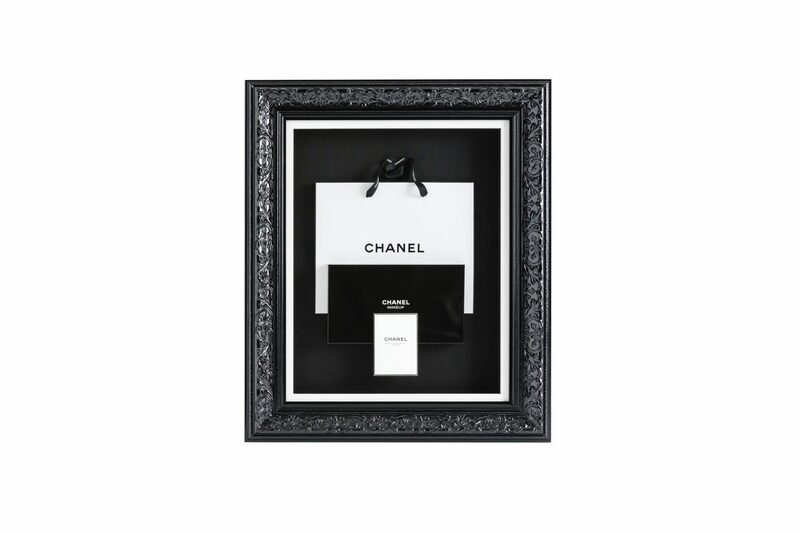 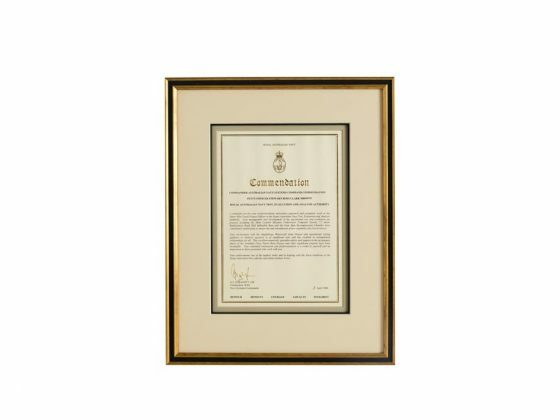 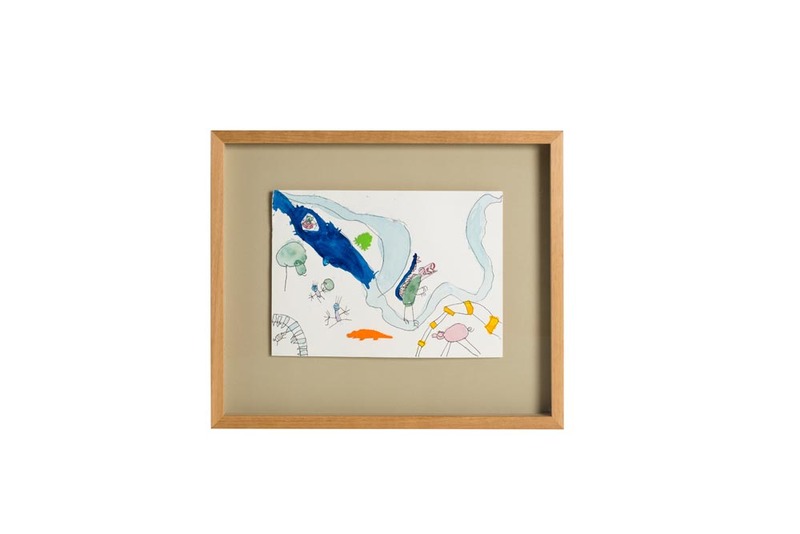 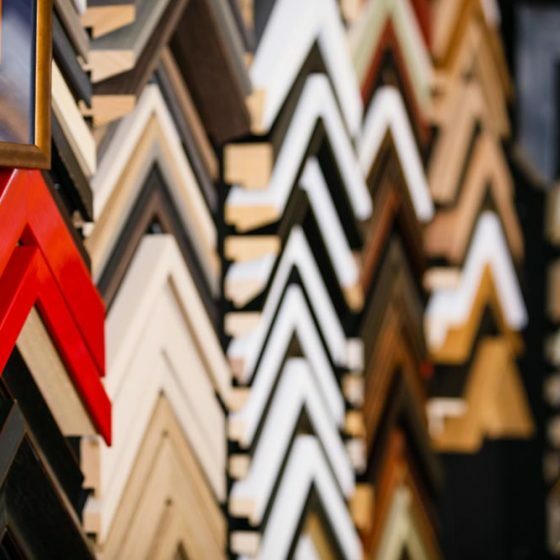 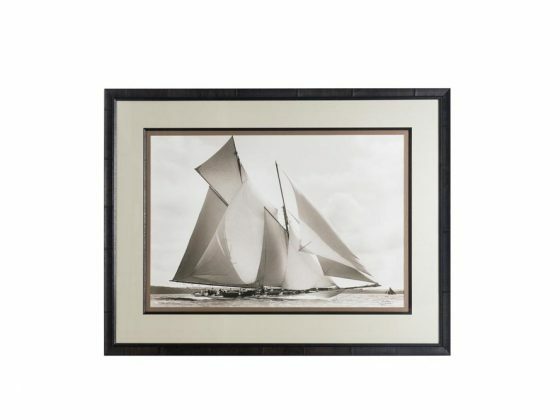 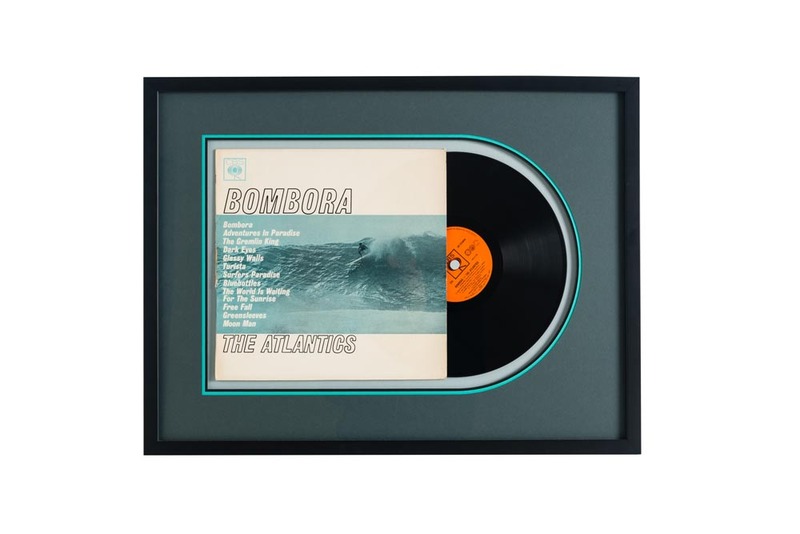 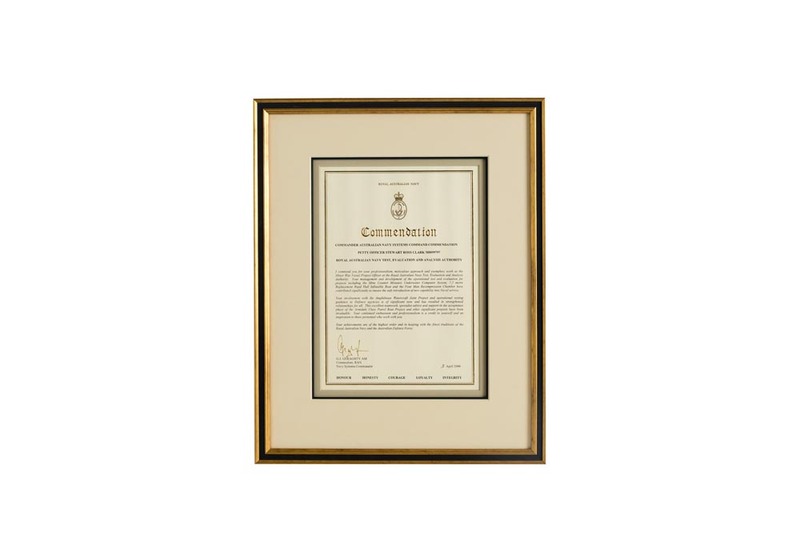 At B Framed Picture Framing Ballina we offer a diverse range of framing solutions to suit any project. 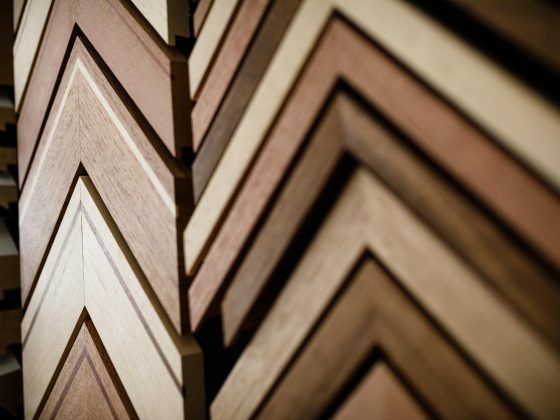 Since all our frames are custom made we offer an obligation free quote on all projects. 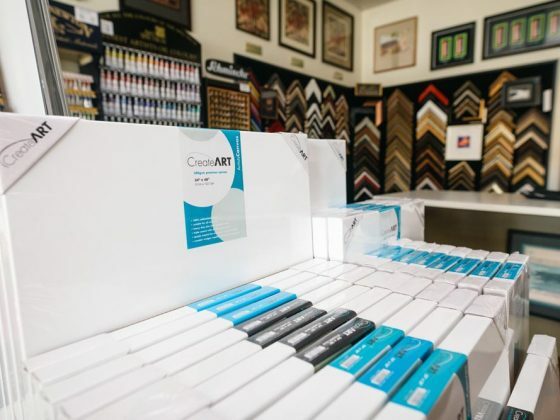 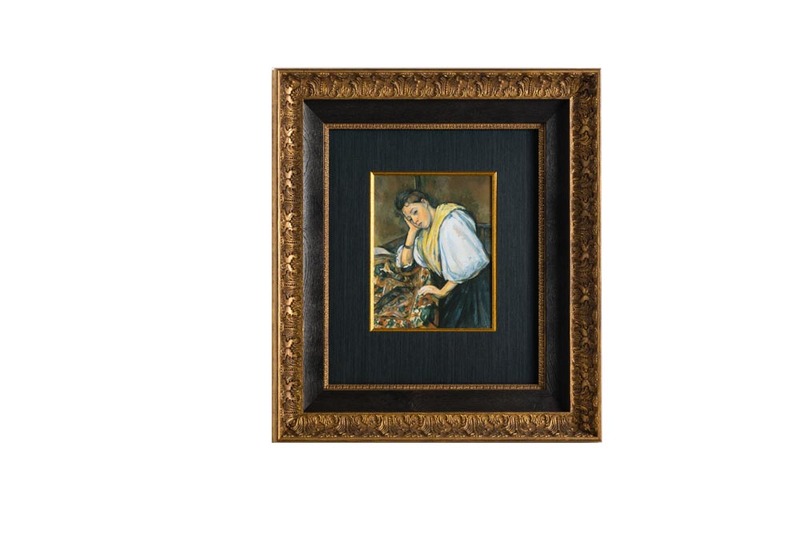 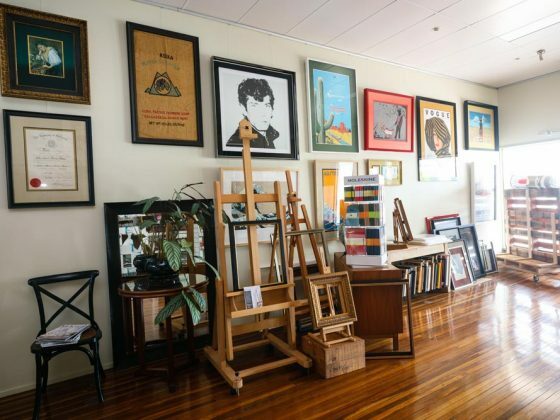 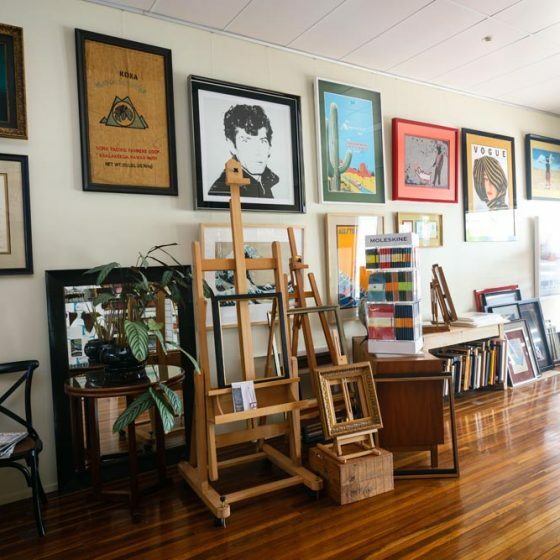 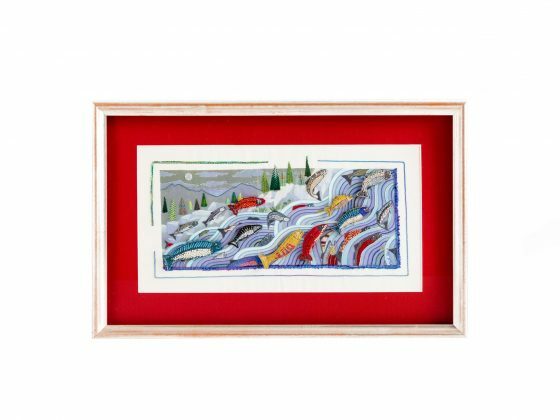 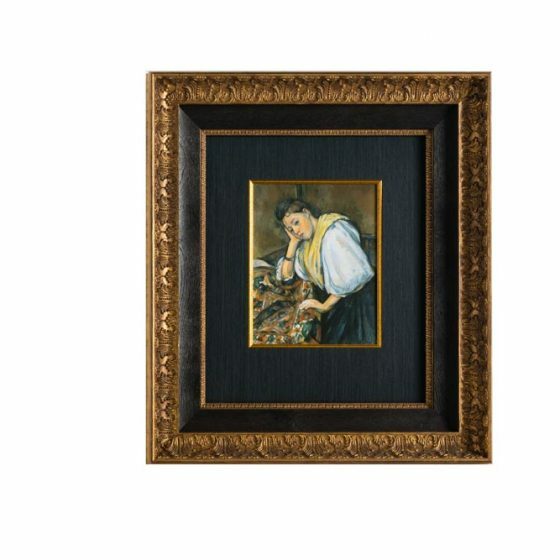 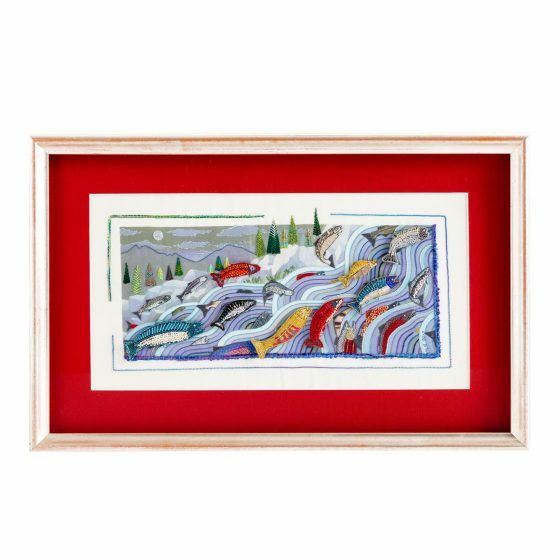 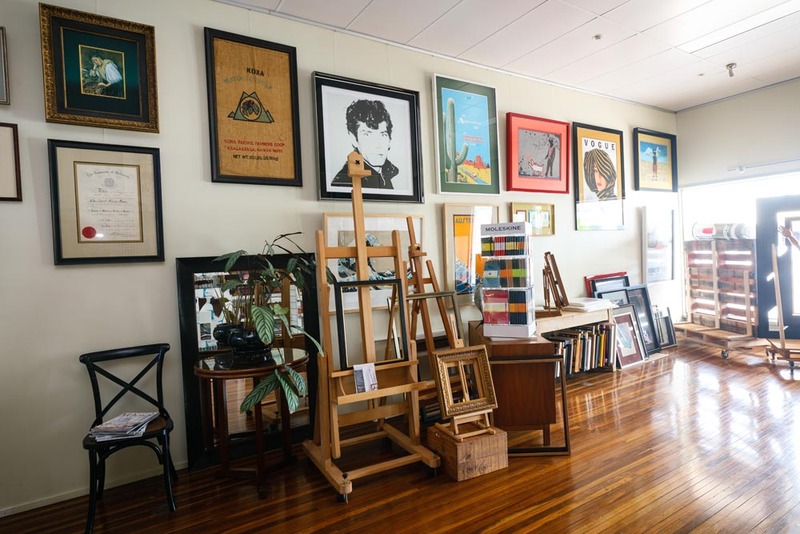 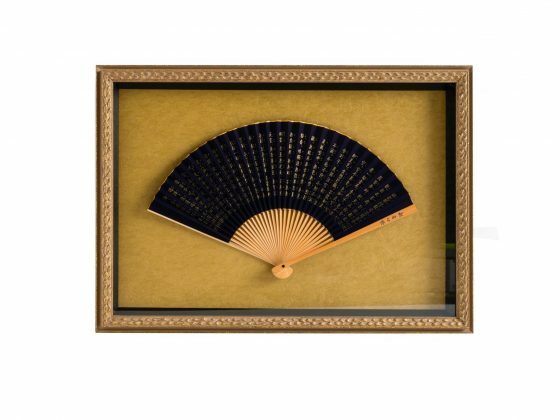 We offer custom framing and carry a wide range of mouldings and matt boards which allow us to create a frame that enhances your art work as well as protecting and preserving it for generations to come. 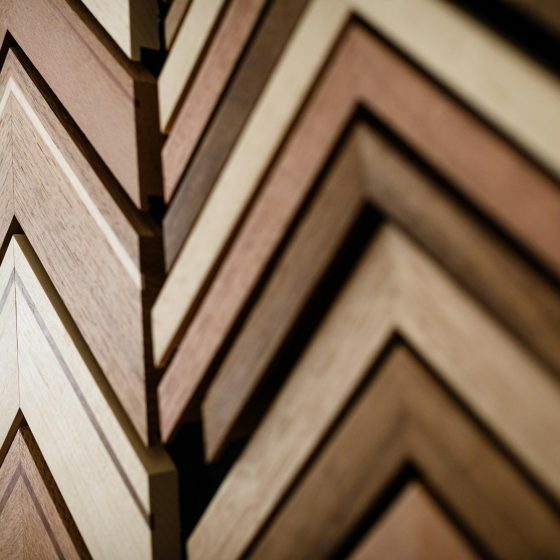 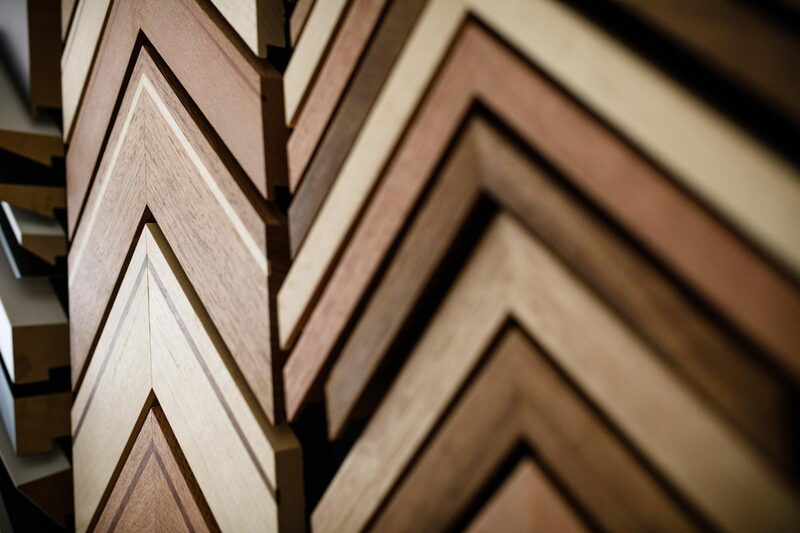 All our frames are bespoke and created in house by our small team of dedicated craftspeople. 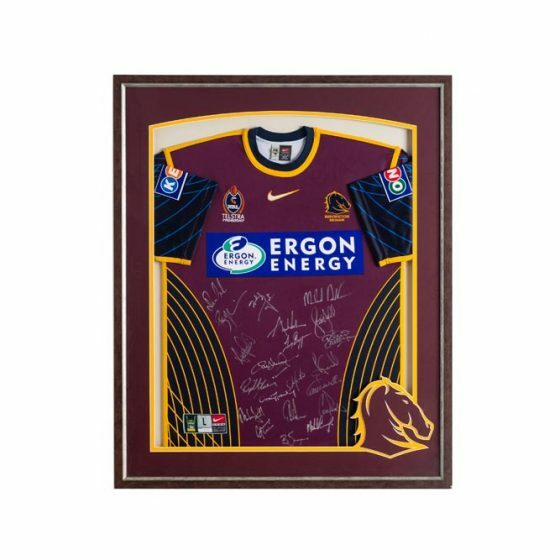 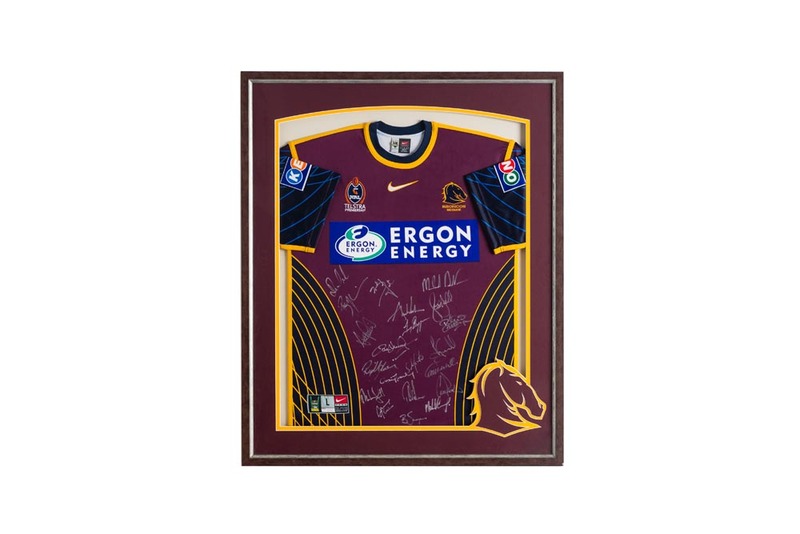 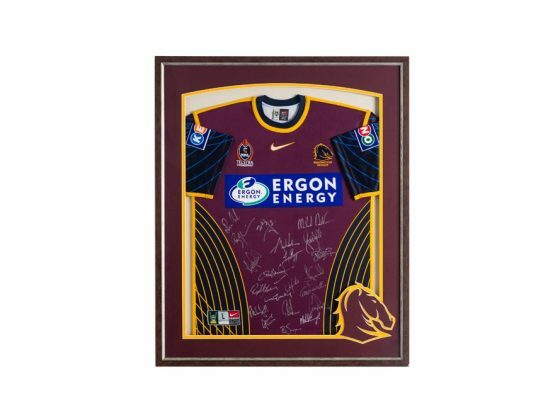 Autographed rugby jerseys, war medals, ballet shoes or any sort of unusual object can be stunningly framed with the right approach. 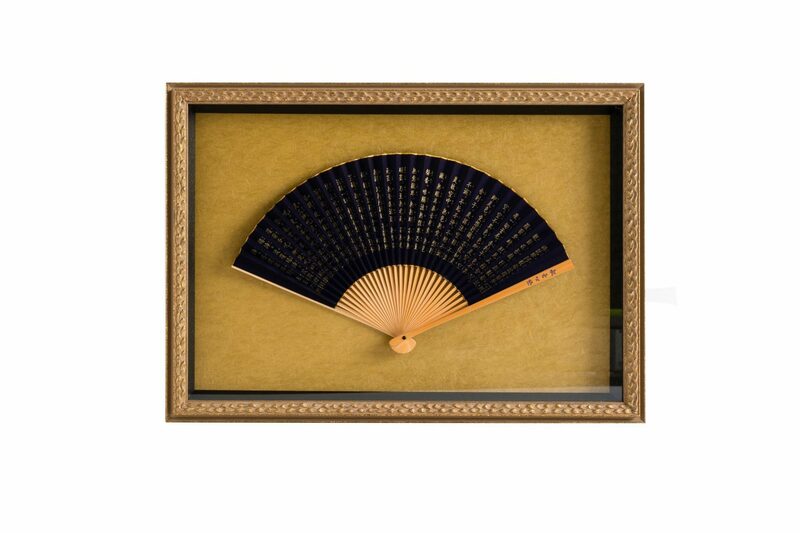 We are well known for our attention to detail and ability to display even the most unusual objects. 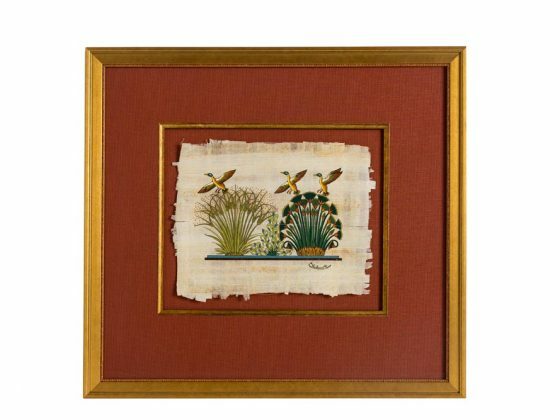 Cross stitching, tapestries, batiks or any textiles require a unique, professional approach. 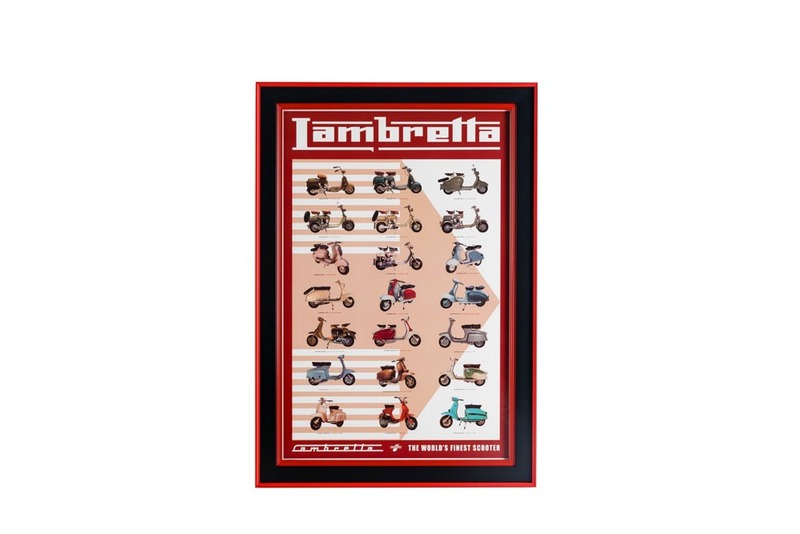 This is what we are known for! 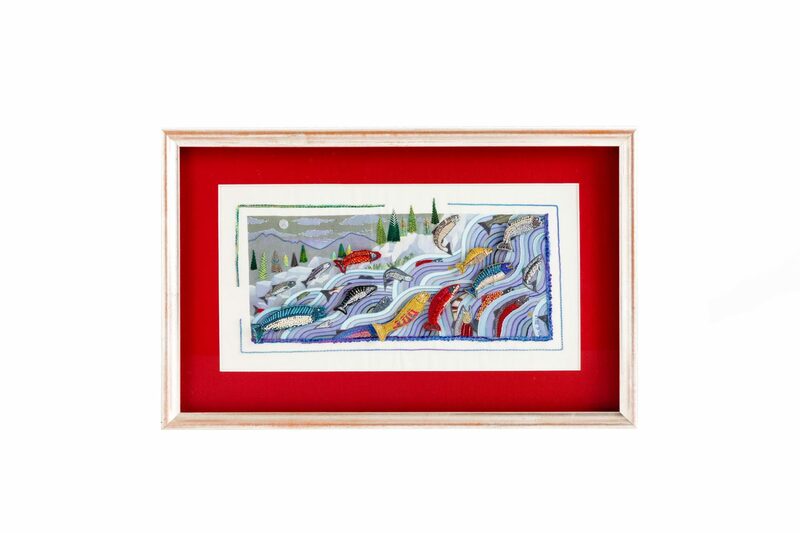 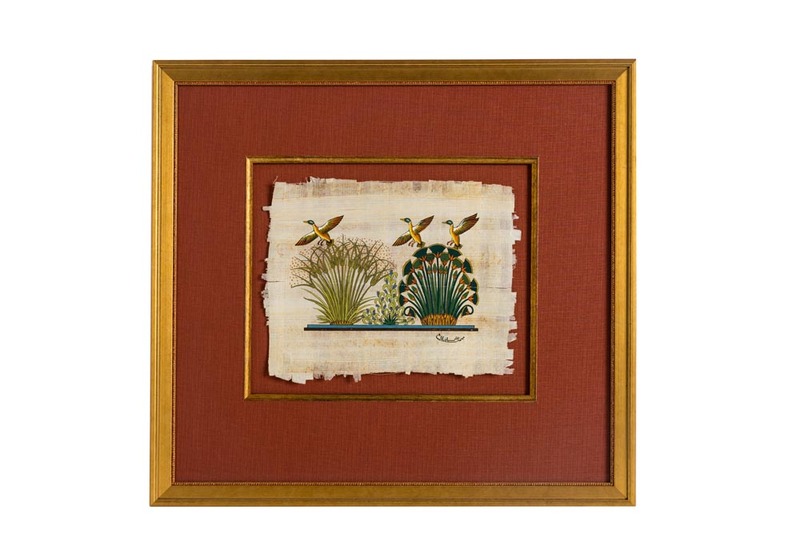 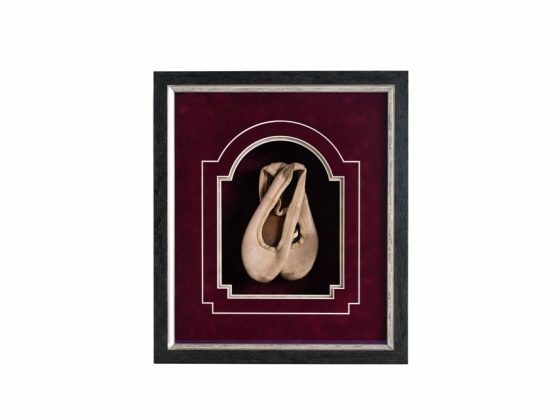 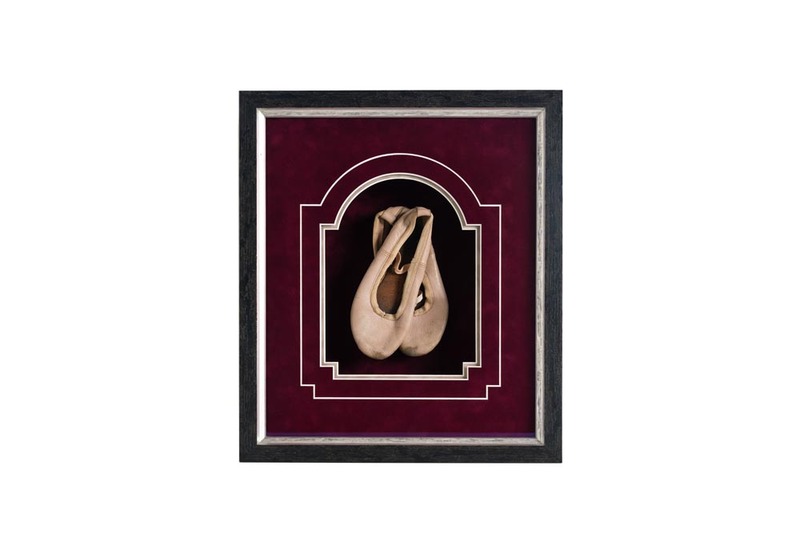 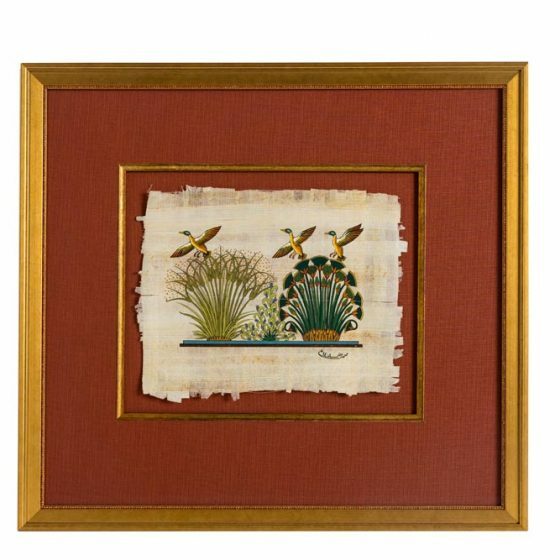 We usually apply a traditional cross lacing method for framing delicate needlework’s. 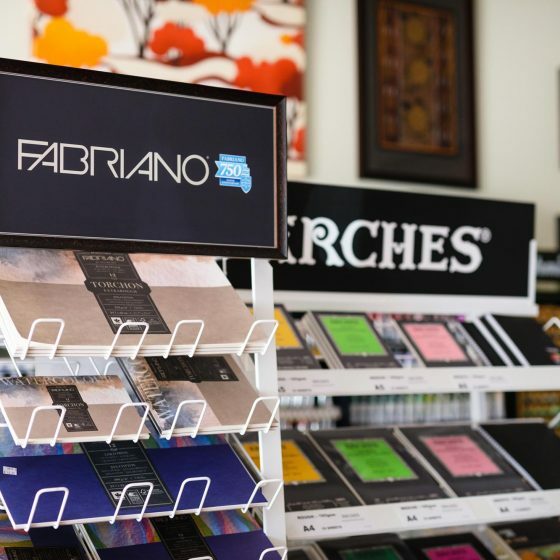 This is the safest method as it is totally reversible and protects the textiles for years to come. 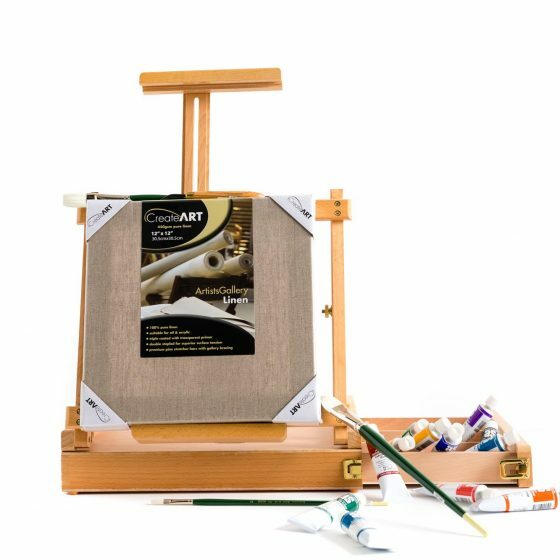 However not all material is created the same so creative ideas may need to be applied, always with the art works best interest keep in mind. 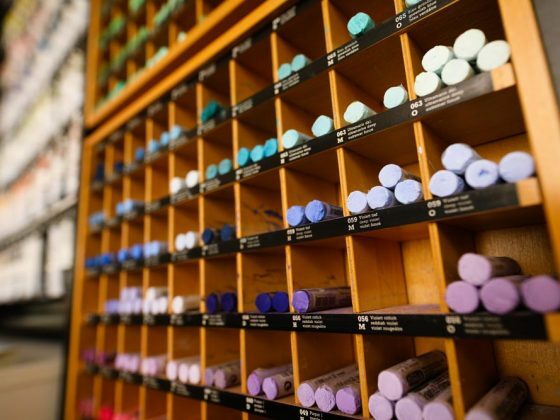 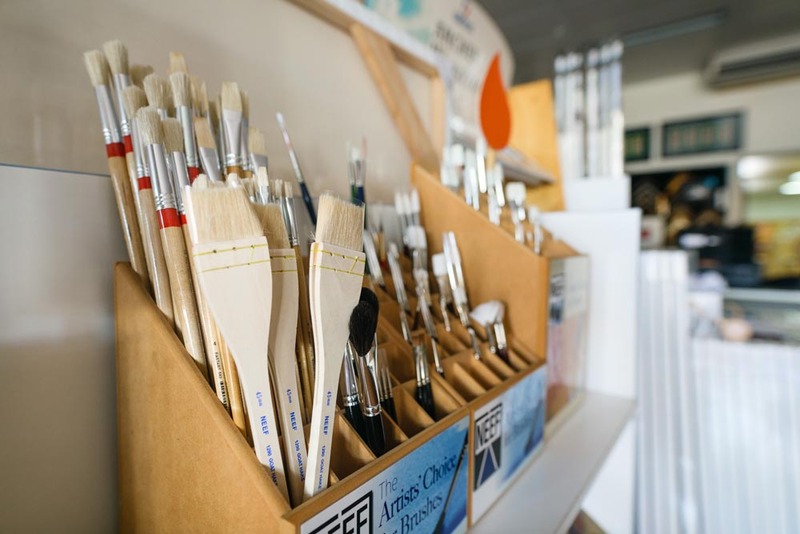 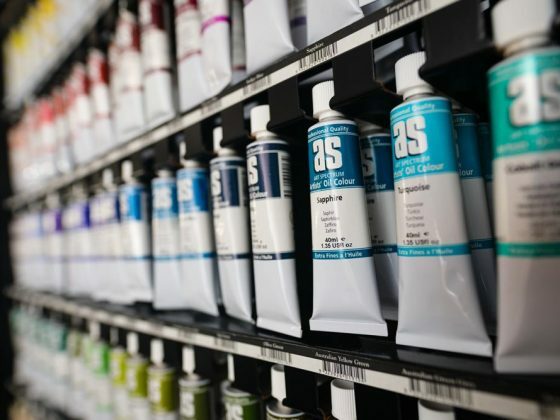 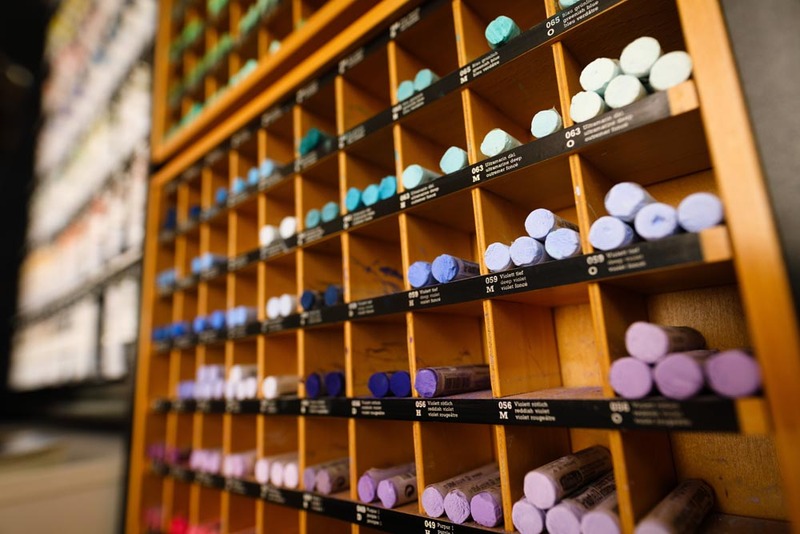 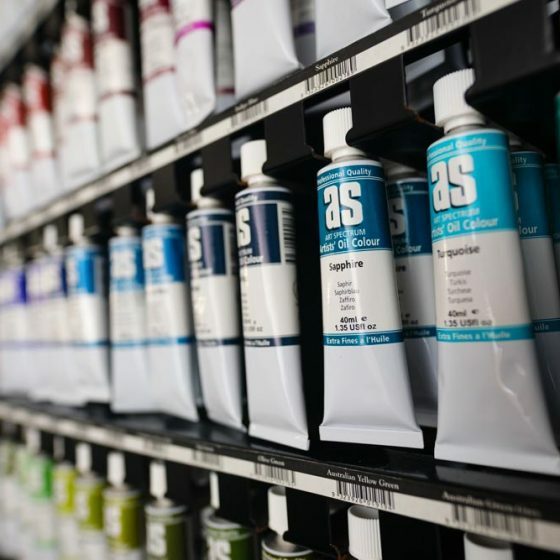 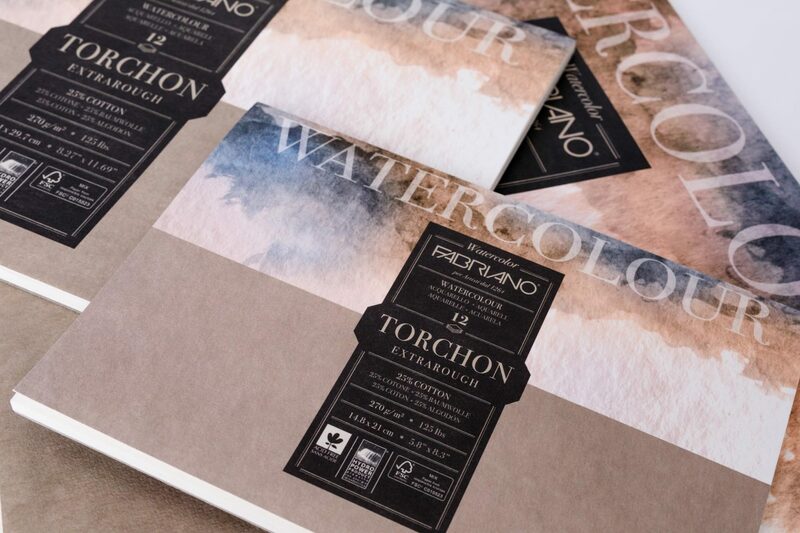 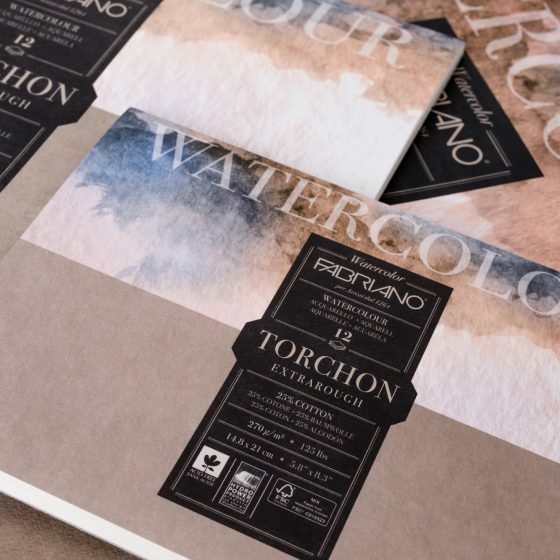 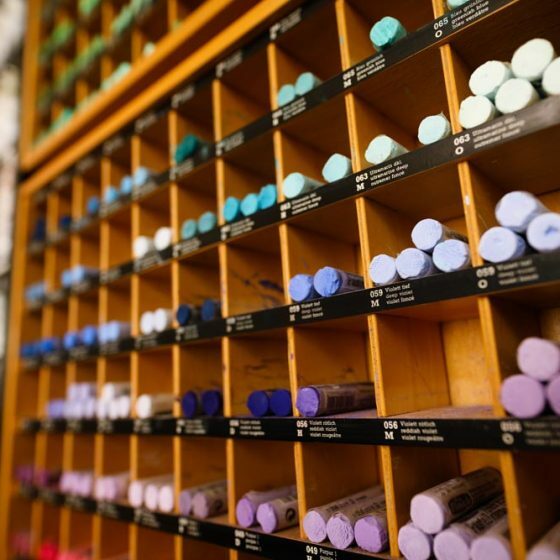 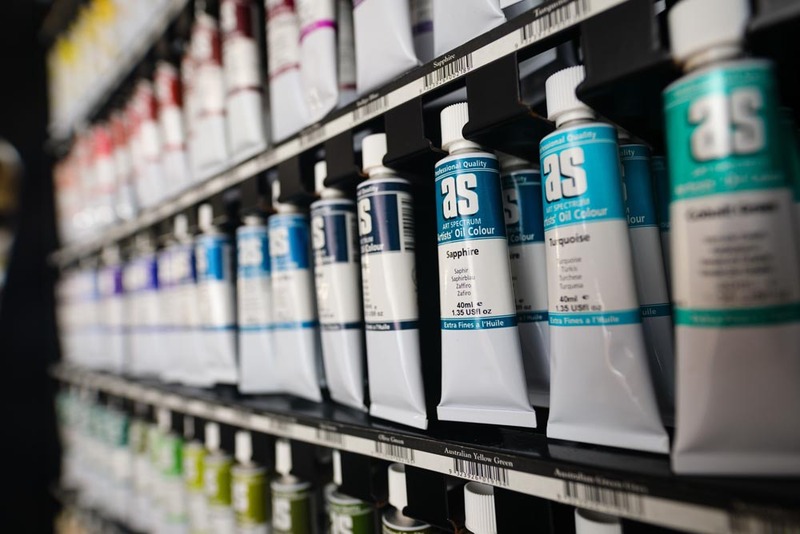 We have a selected range of artist quality materials to suit your needs. 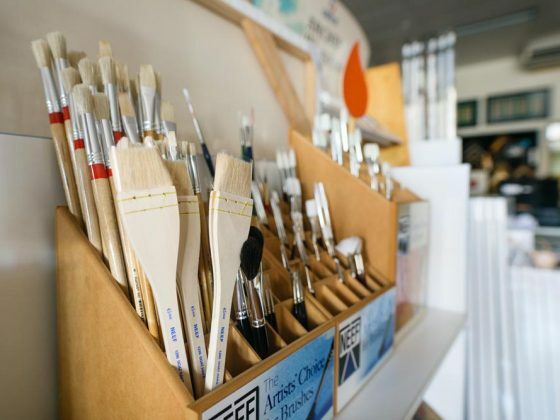 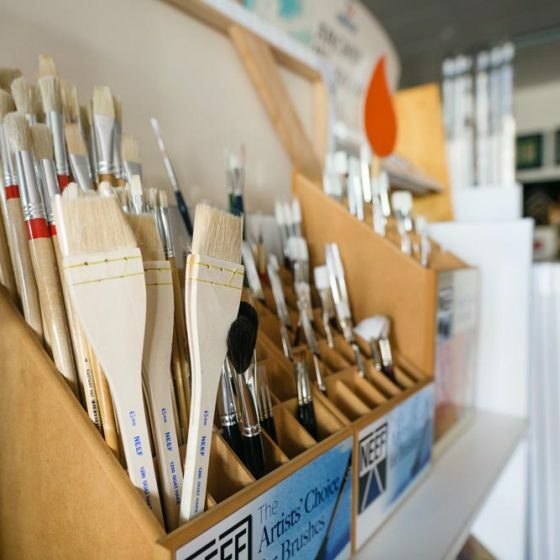 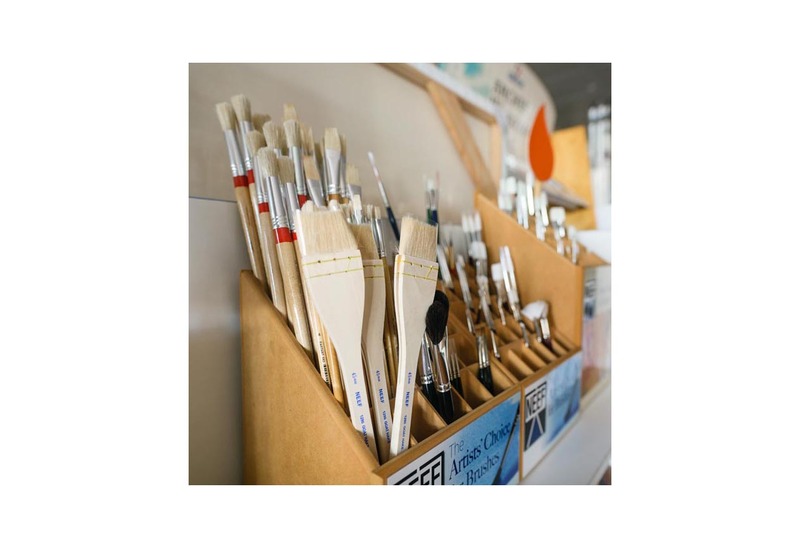 Whether you are an accomplished artist or a first timer, we can advise you on materials and techniques. 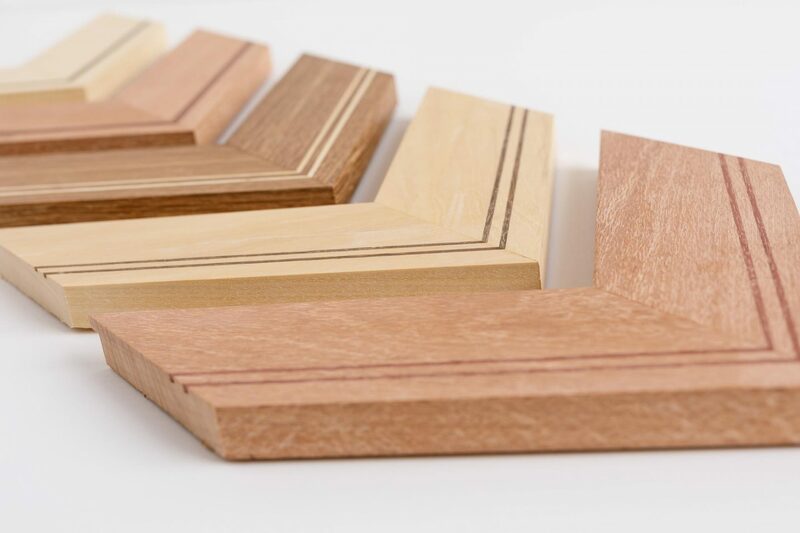 If there is an item that we do not stock, we are always more than happy to see if our suppliers stock the product and place it on our next order. 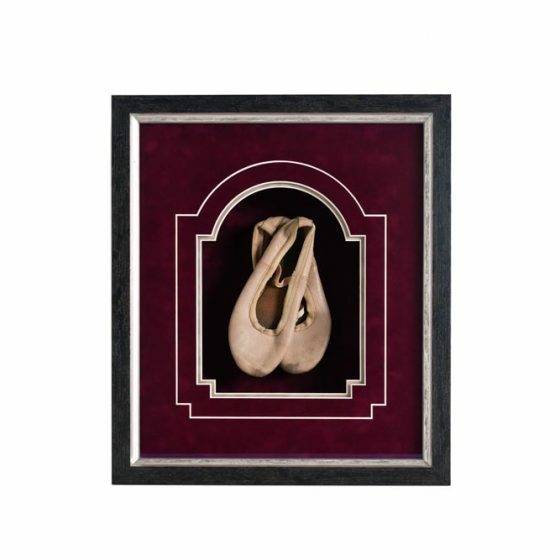 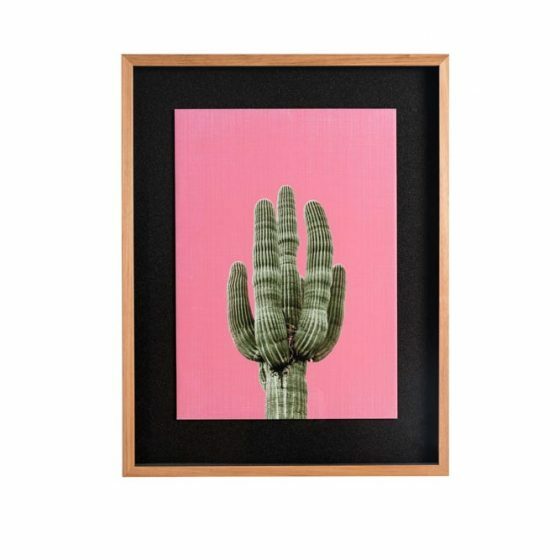 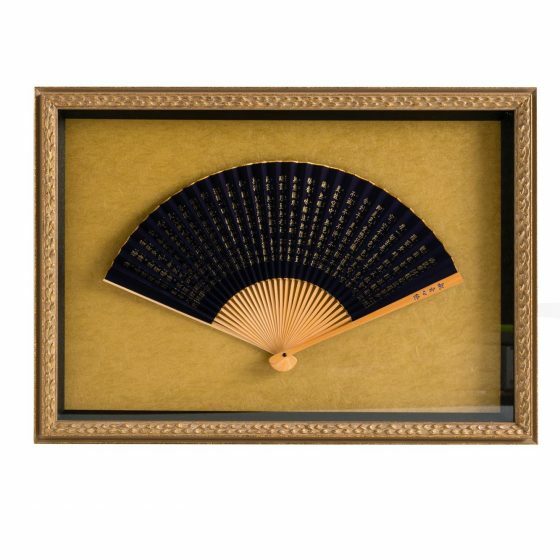 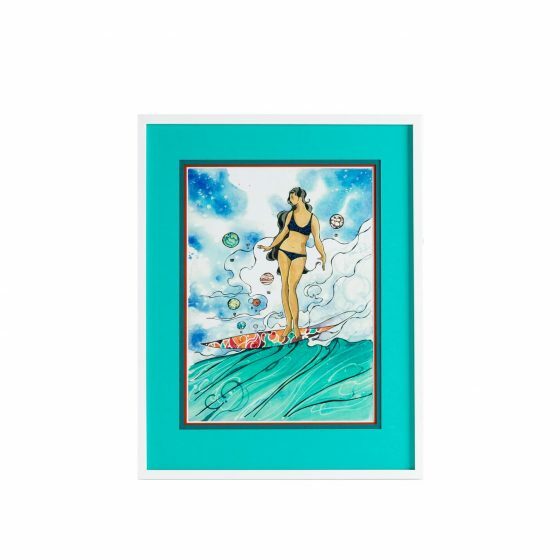 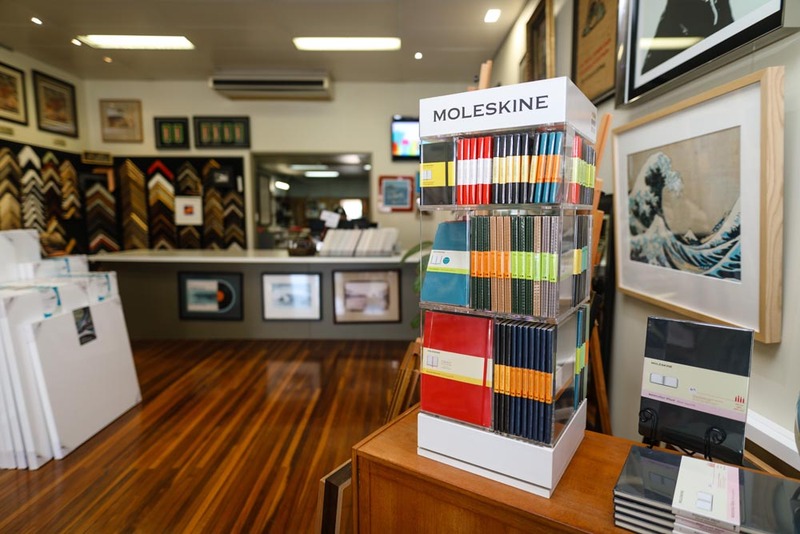 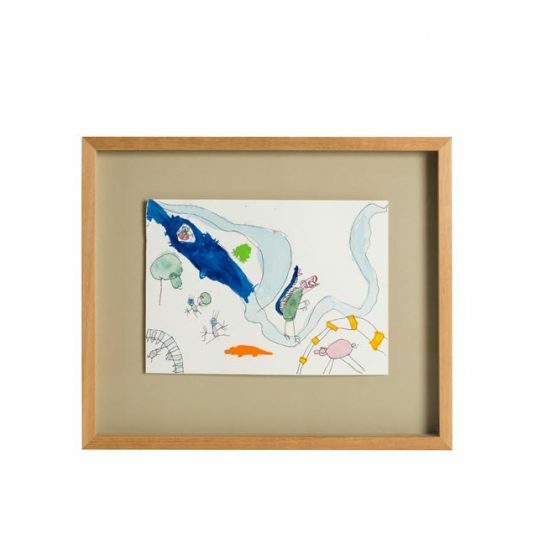 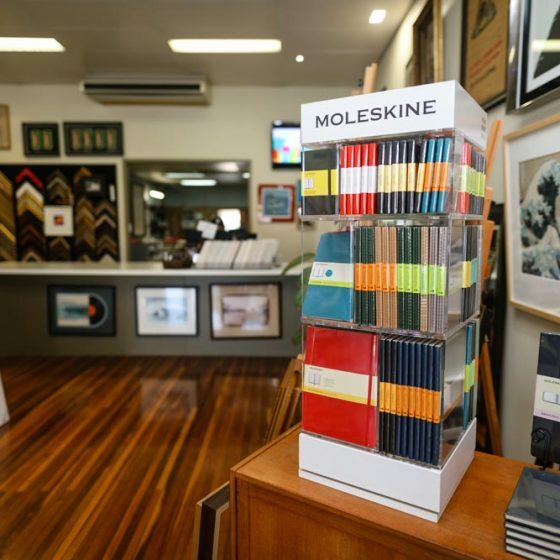 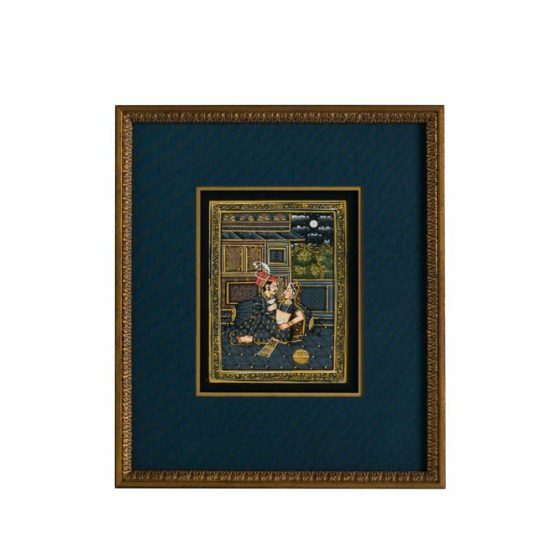 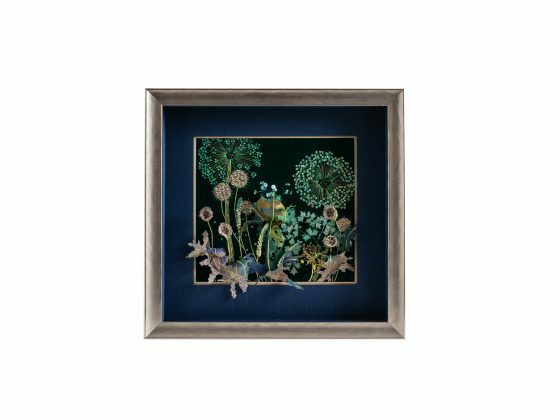 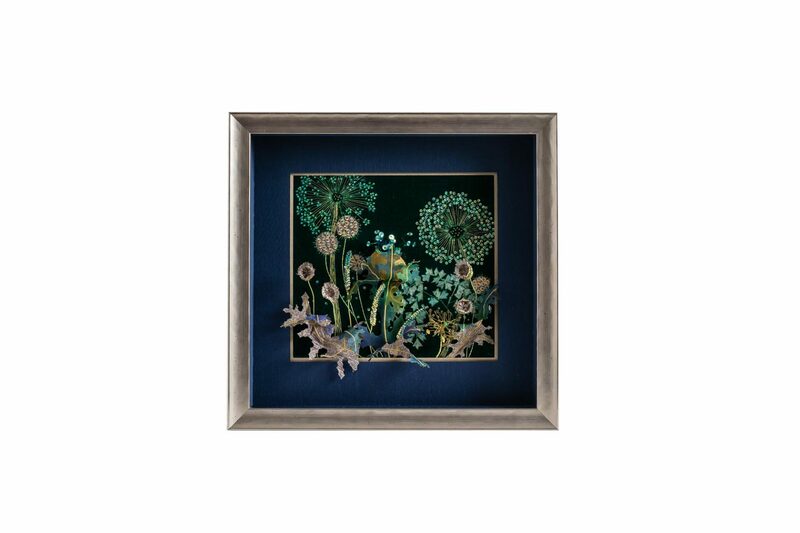 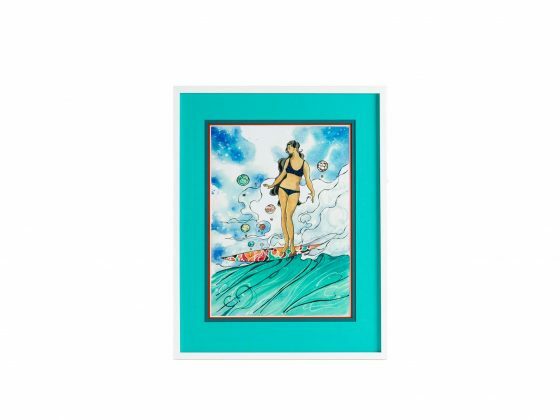 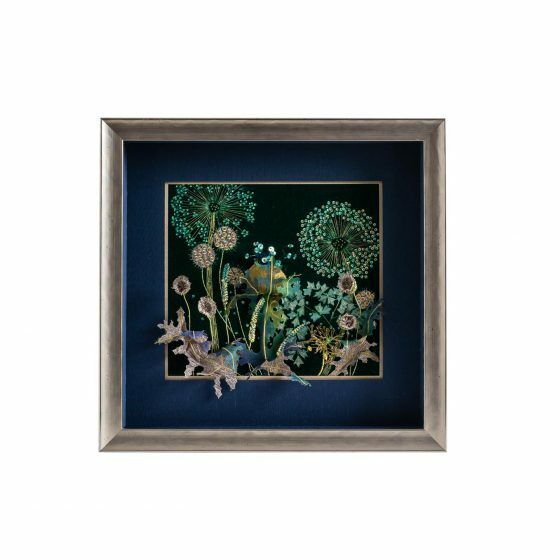 Mat Boards are the coloured surrounds, that not only enhance the design between the art work and frame ; it also protects the art work within the framing itself. 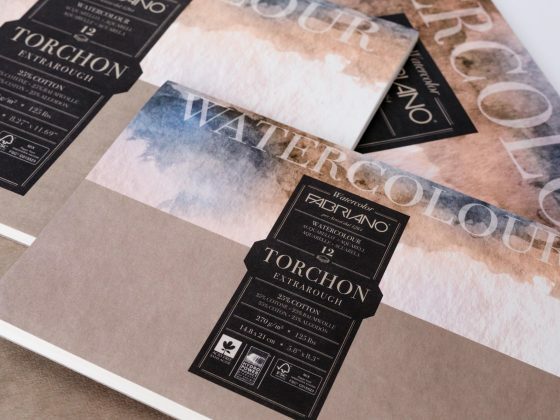 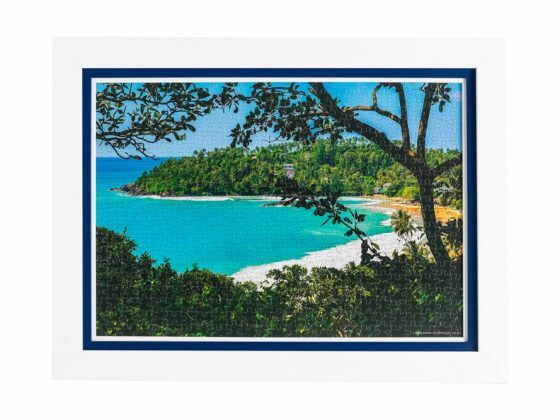 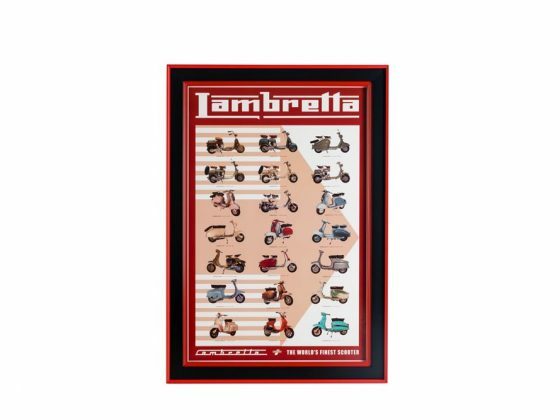 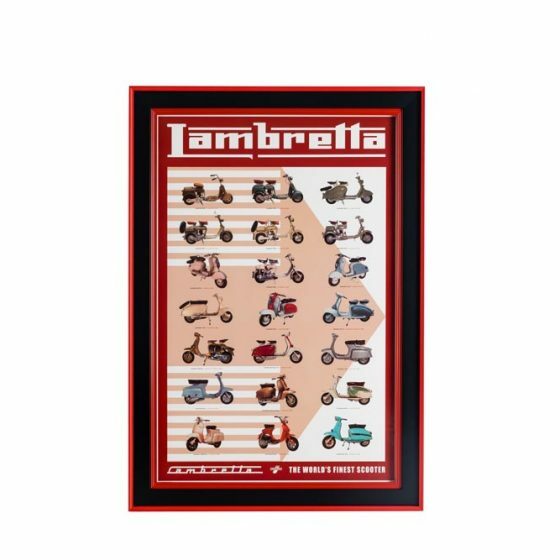 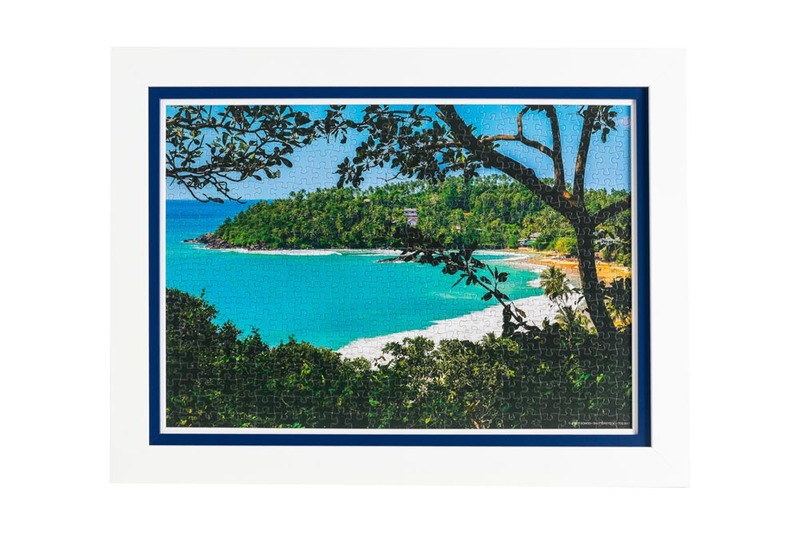 Single, double and triple mat board combinations are commonplace and there really are no rules as to how you can match them to your art or object. 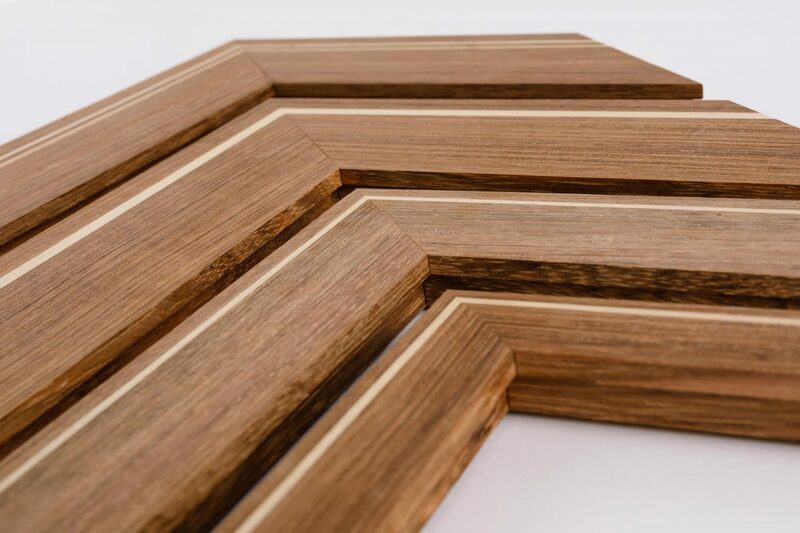 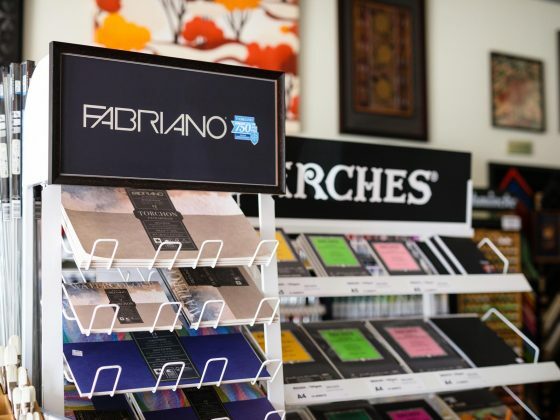 Floating, recessing and shadow matting are extensions of the creativeness given by mat boards and are an important part of the custom framing design. 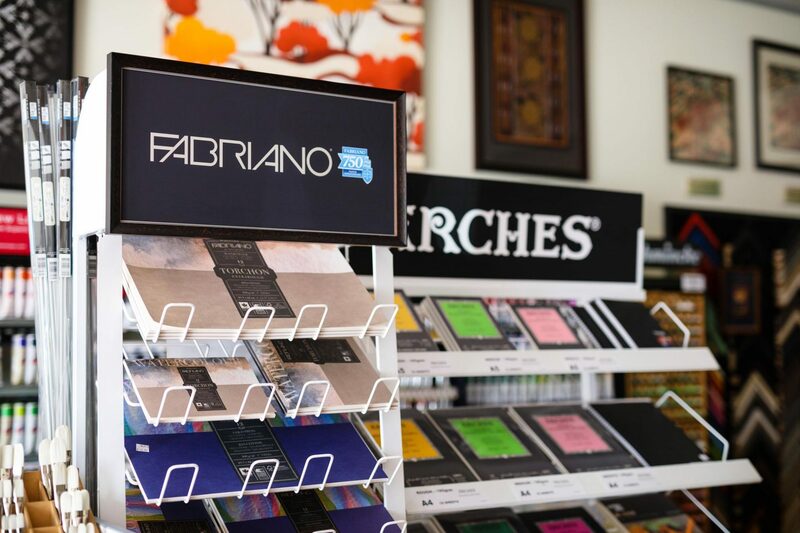 With our Wizard 8000 computerised mat cutter we can offer you a range of decorative designs, embossing, wording and logos cut into the mat board for that custom look. 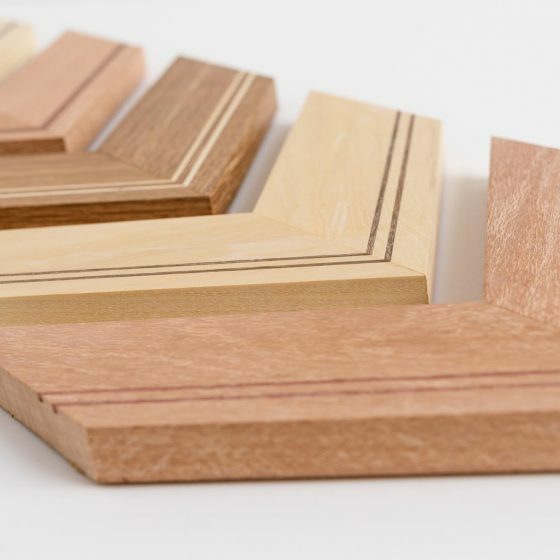 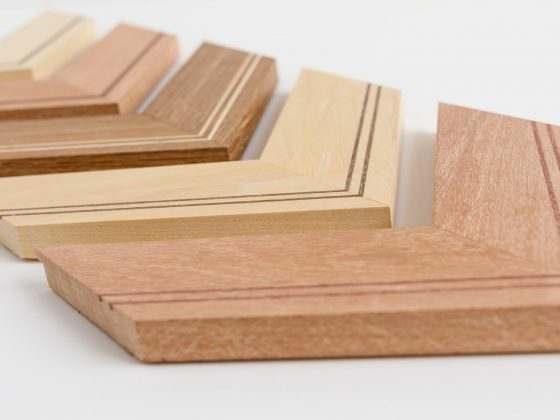 We can supply cut mat boards to your dimensions or fit them into existing frames that need a colour change or even just the materials for you to do it yourself. 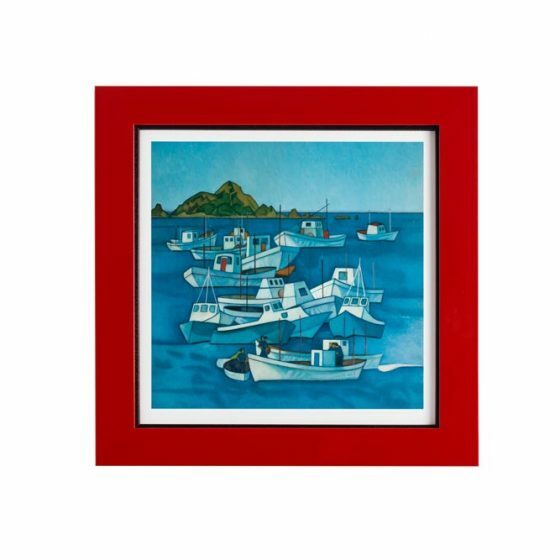 If it’s an artwork on canvas from a holiday overseas, a fantastic piece of material or a digitally printed canvas which is very popular at the moment thanks to the large format inkjet printers that are on the market, we can custom make a stretcher frame that you’re art work is then stretched over. 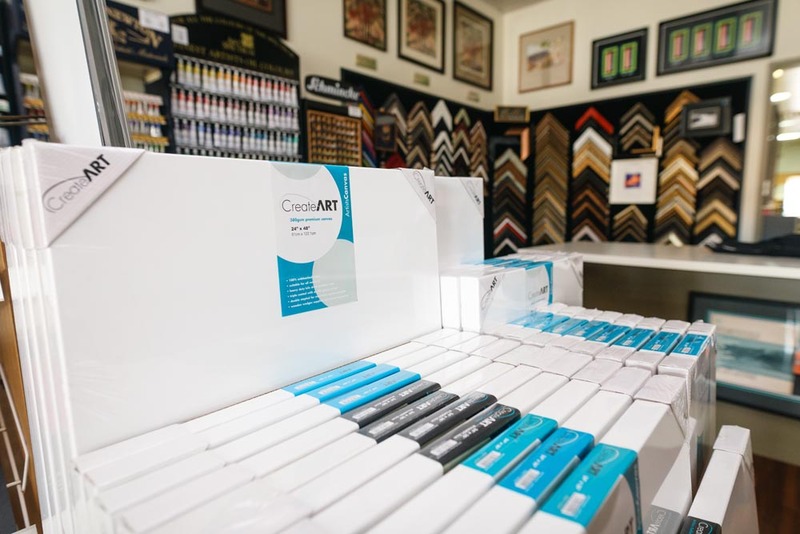 We also create blank canvases if you’re looking to create a custom sized art work. 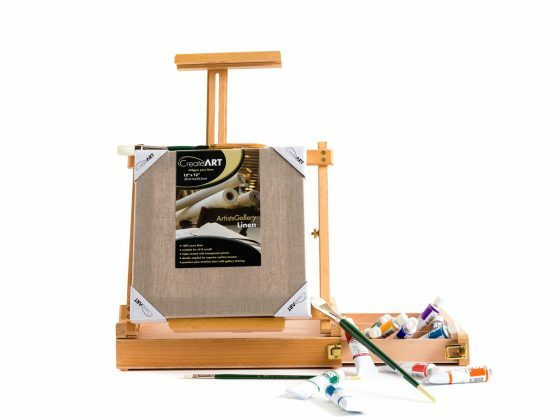 We can supply 12oz cotton or linen canvas which is then stretched onto a custom made stretcher frame. 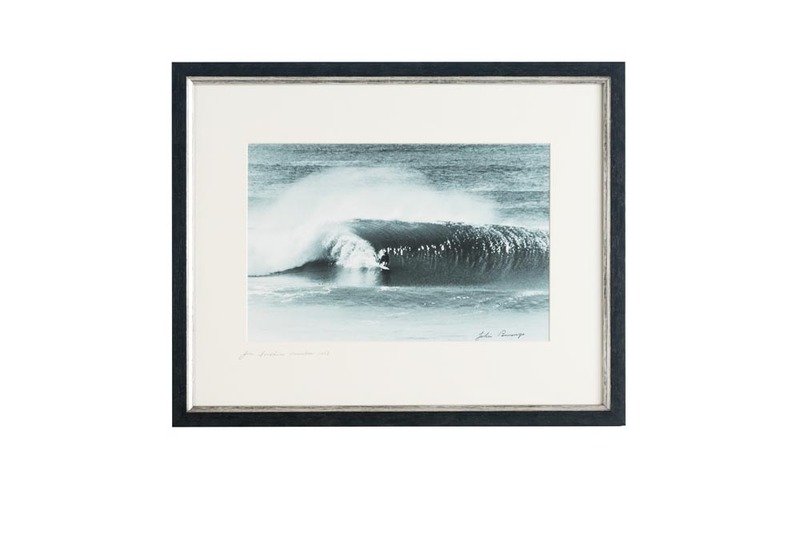 You can also purchase the canvas or linen straight off the roll. 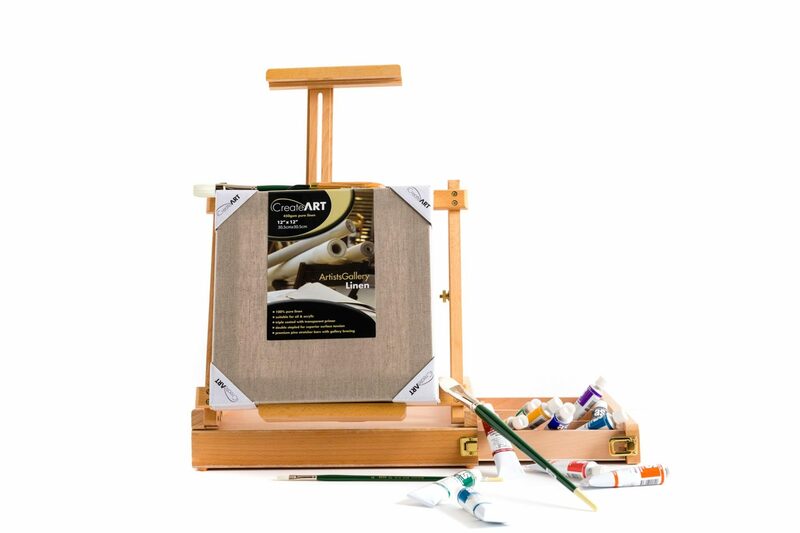 We also supply in a variety of sizes, “Create Art” primed stretched canvases as well as “Fredrix” canvas on boards. 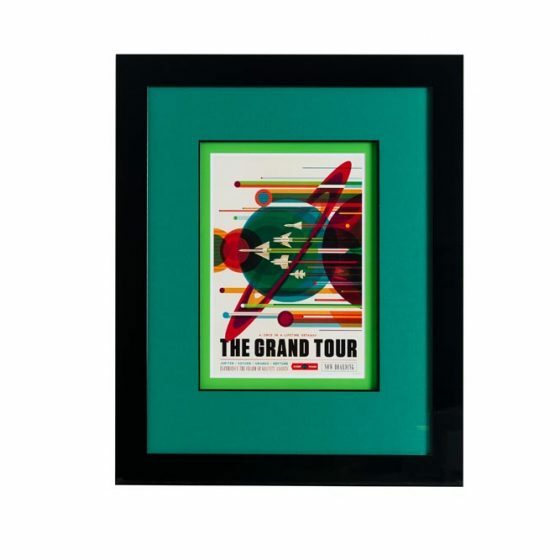 Once the art work has been stretched they are ready to display or we can even add a frame around the image to enhance the design. 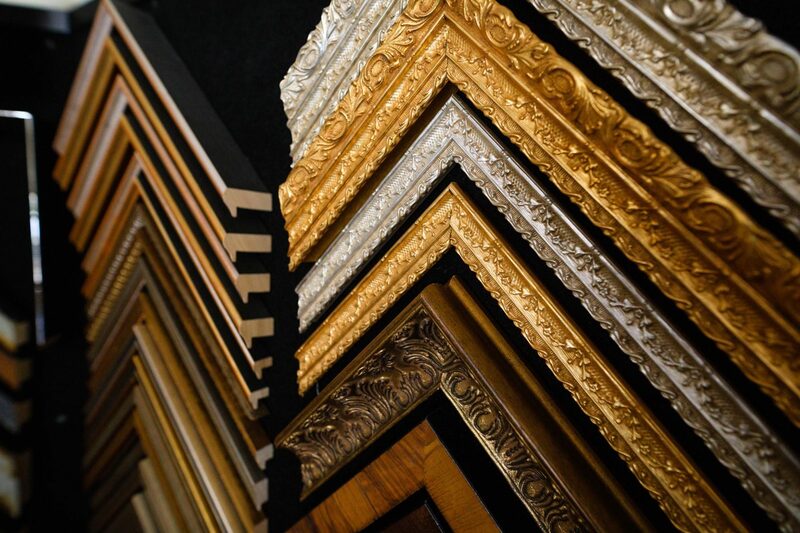 We stock a variety of glazing options to suit your art work. 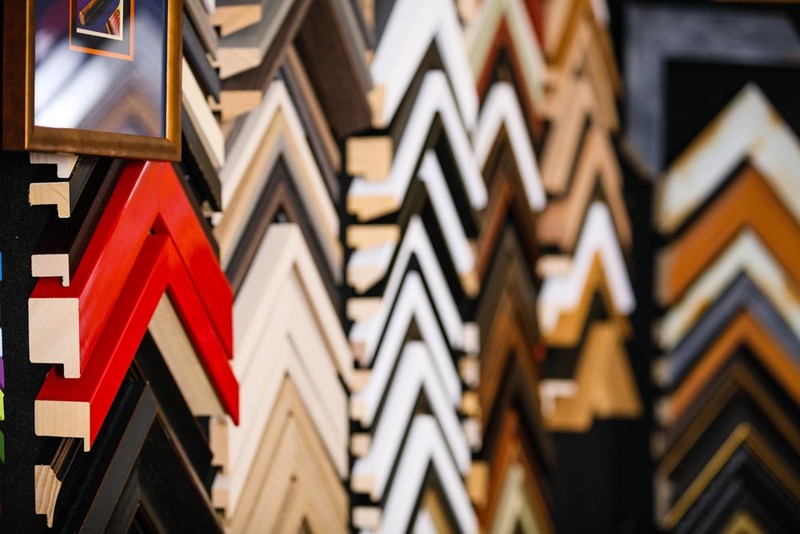 Different glazing products enhance, protect, and beautify works of art and other treasured pieces, so that they can be enjoyed by many for years to come. 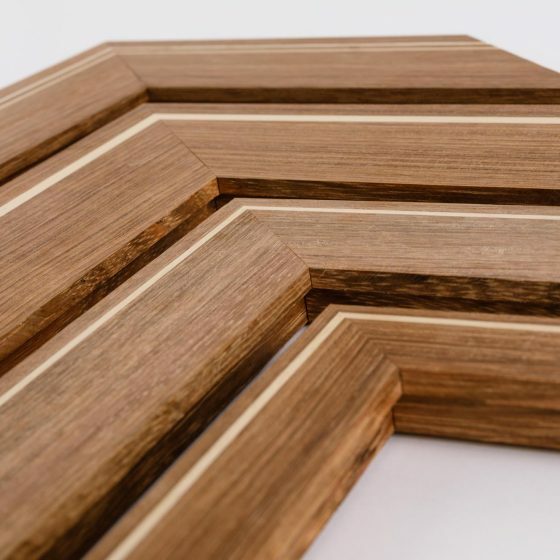 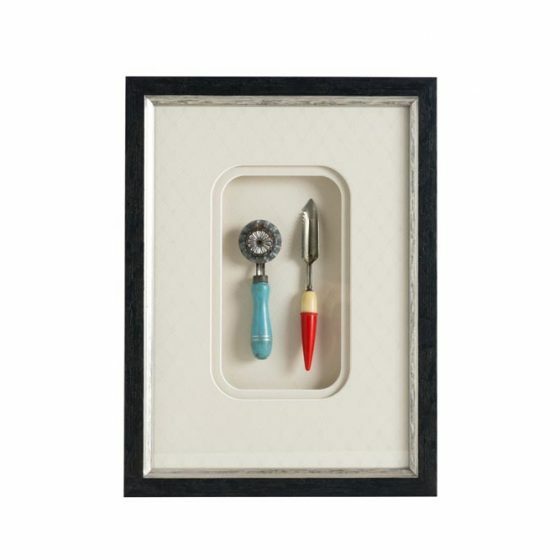 We stock a gallery hanging system fro ART hanging Solutions that is proving very popular, allowing you to change your framed pieces when you want to, without leaving holes from nails in the wall. 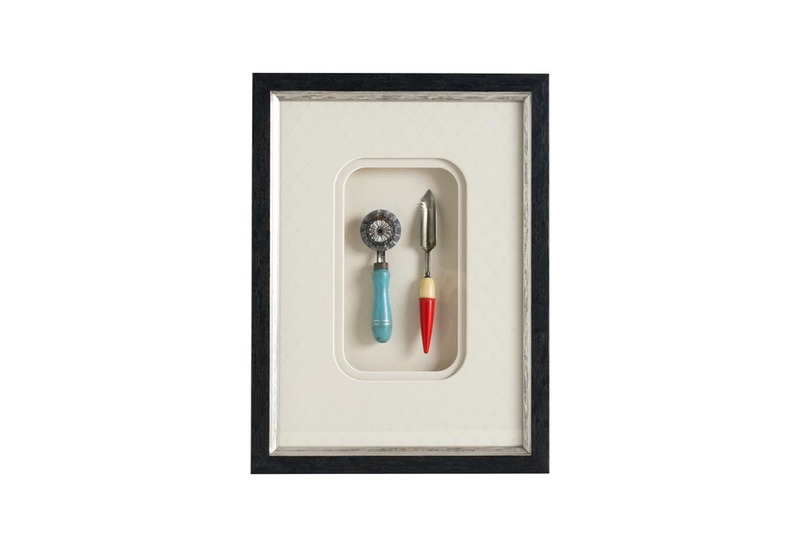 If hanging yourself we recommend hanging with two picture hooks. 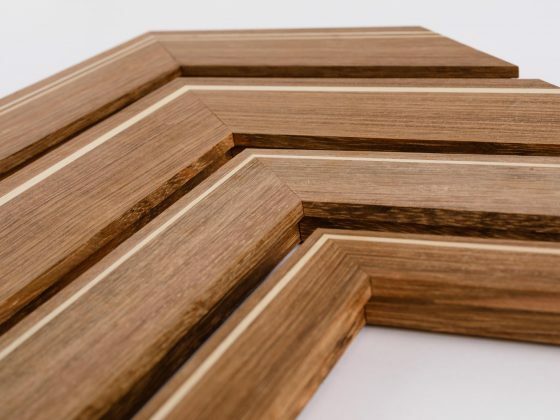 Placing two wall hooks (approx 100-150mm in from either side) will keep the frame stable on the wall and will lower the stress on all hangers.